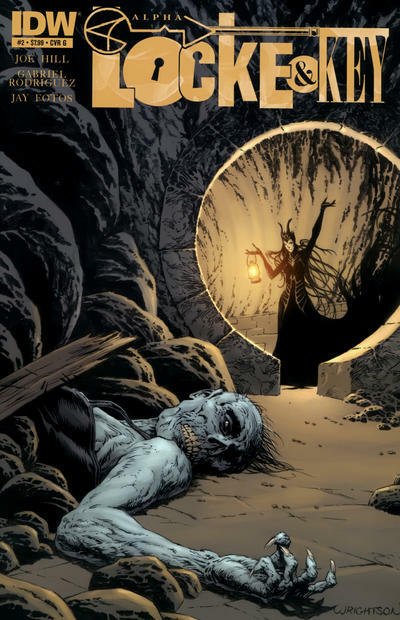 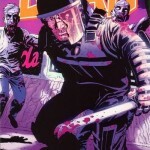 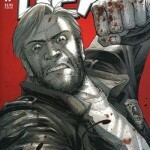 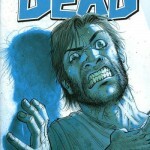 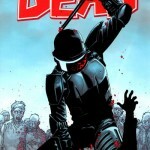 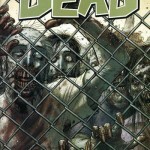 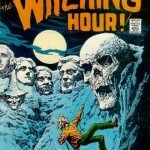 We’re back with a new Top 20 Horror Comic Cover post! 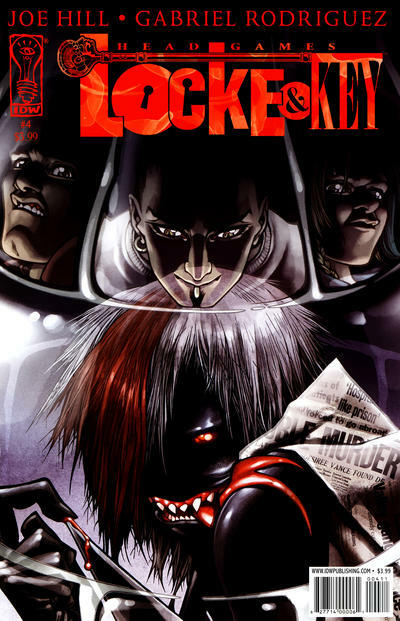 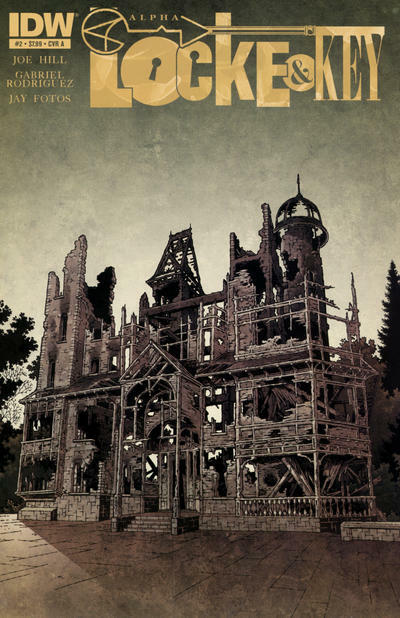 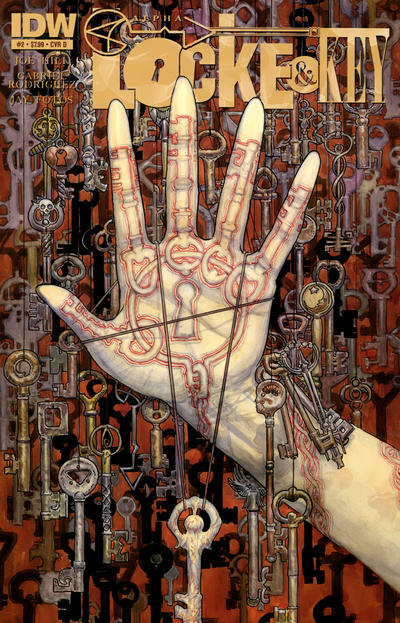 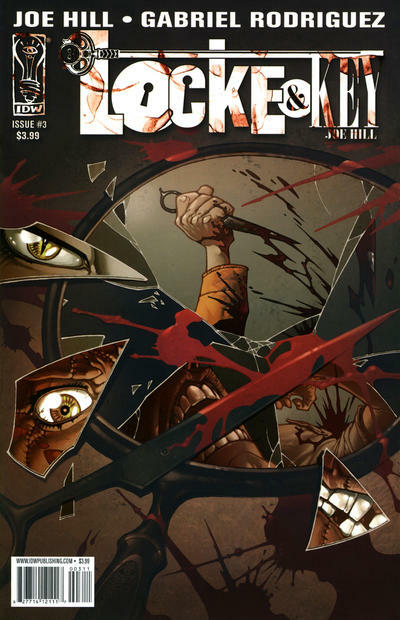 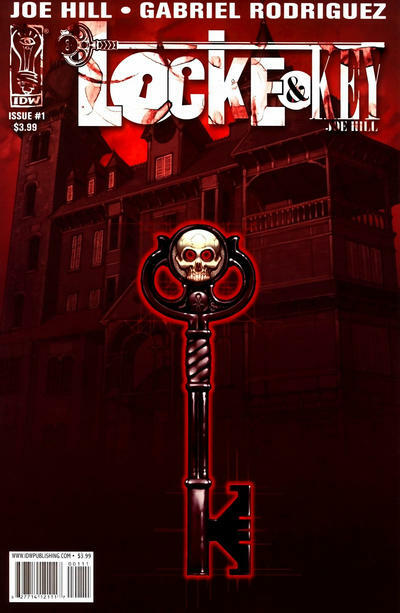 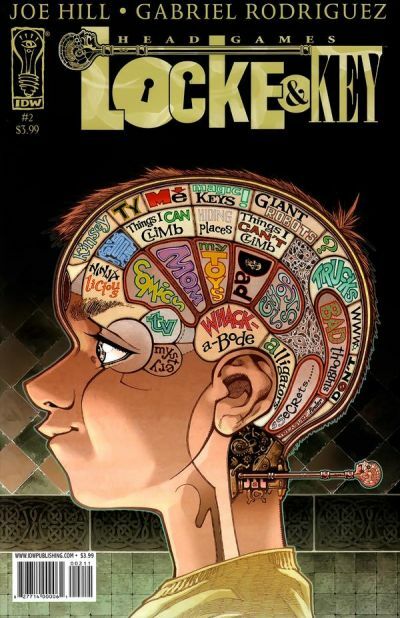 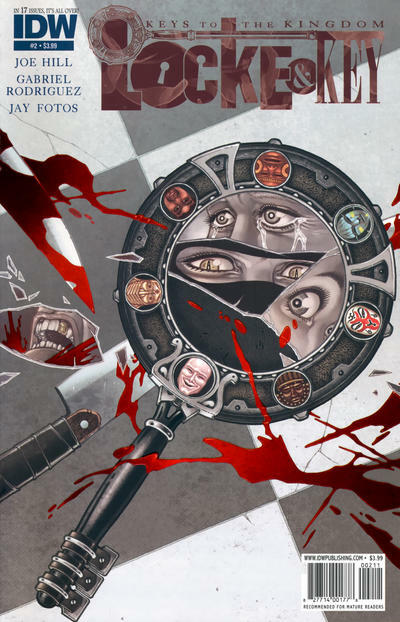 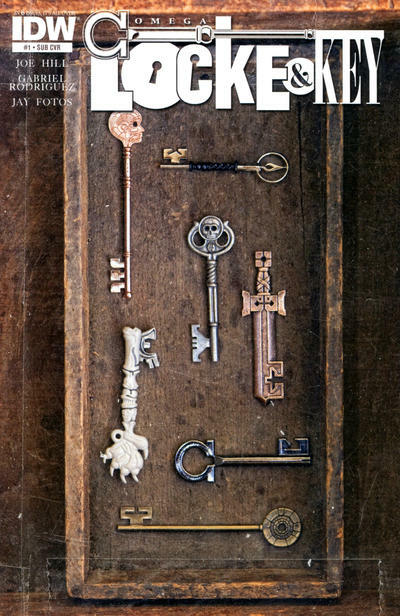 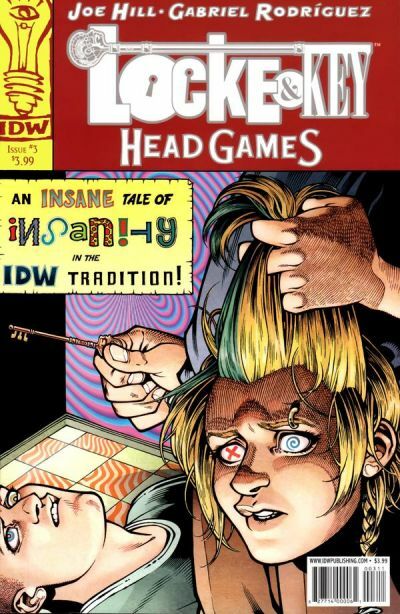 This time, the spotlight of spookiness turns to Joe Hill and Gabriel Rodriguez’s modern masterpiece, Locke and Key. 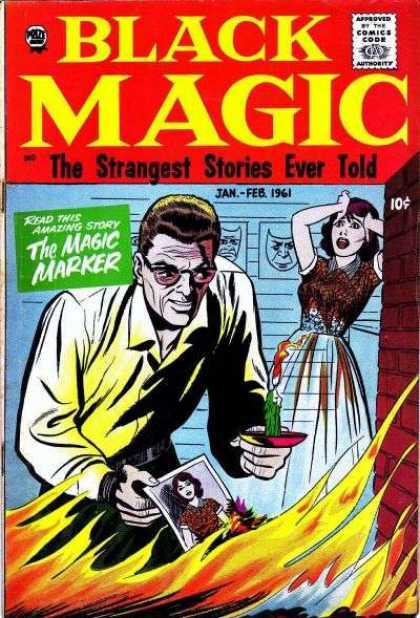 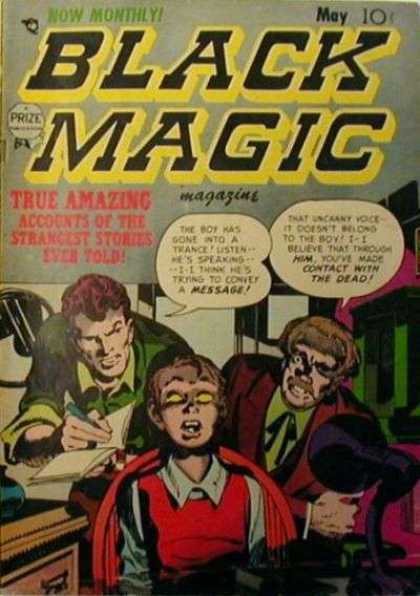 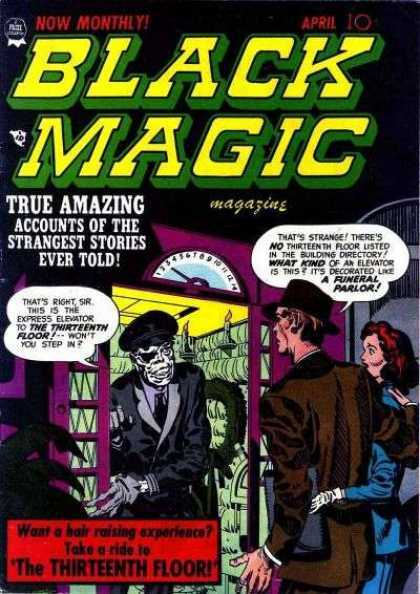 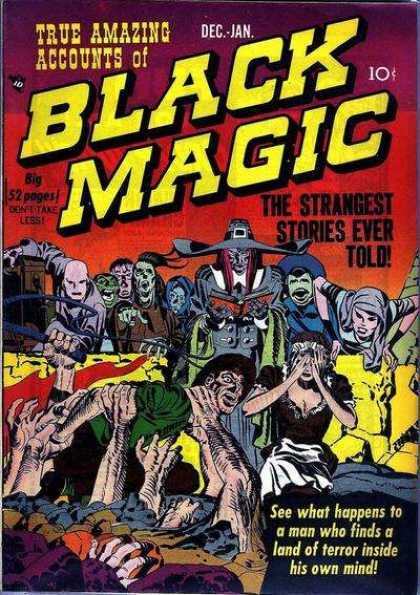 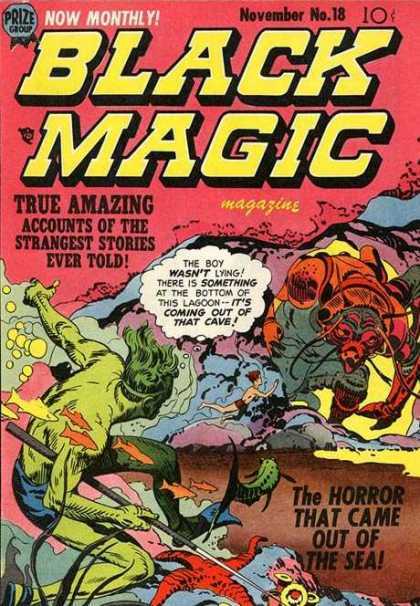 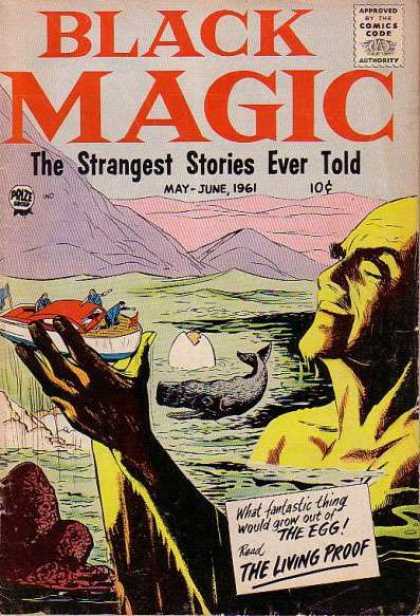 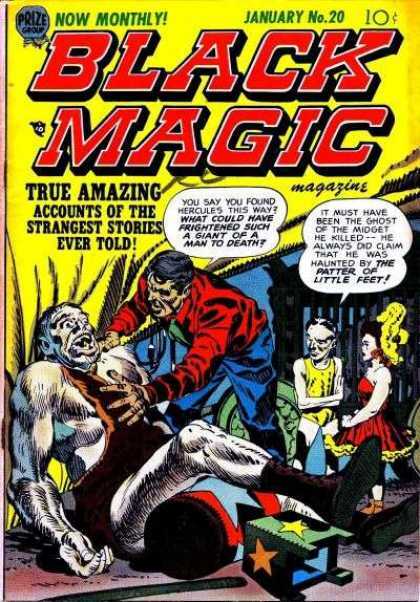 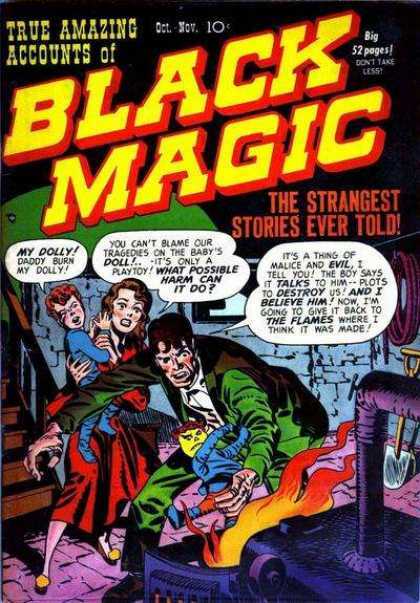 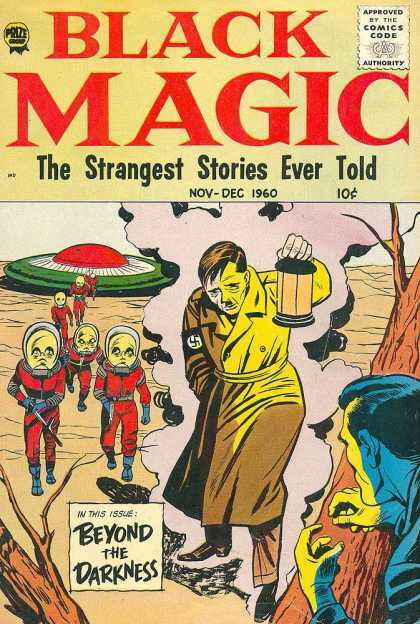 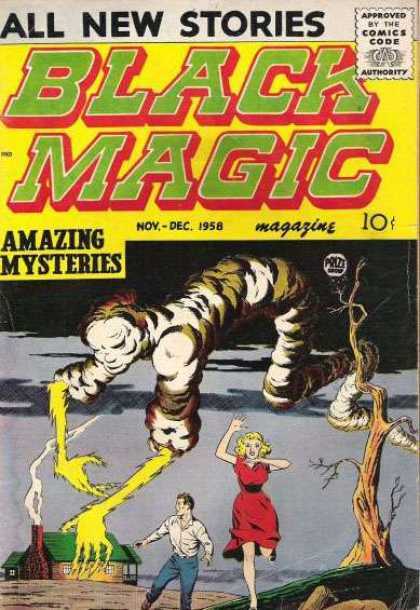 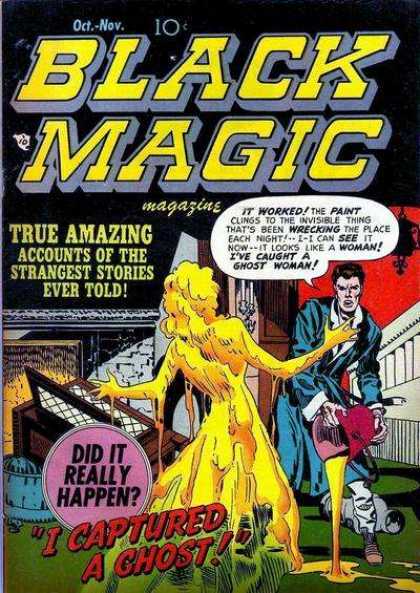 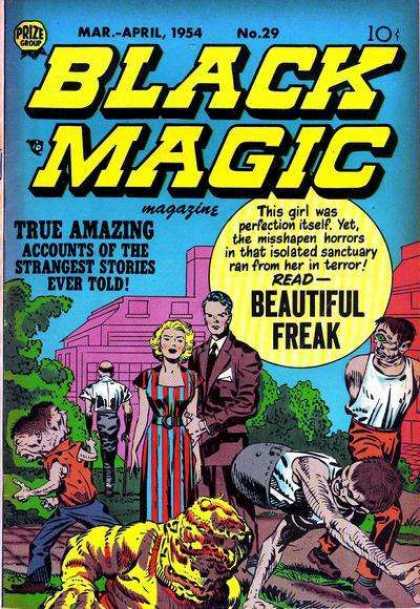 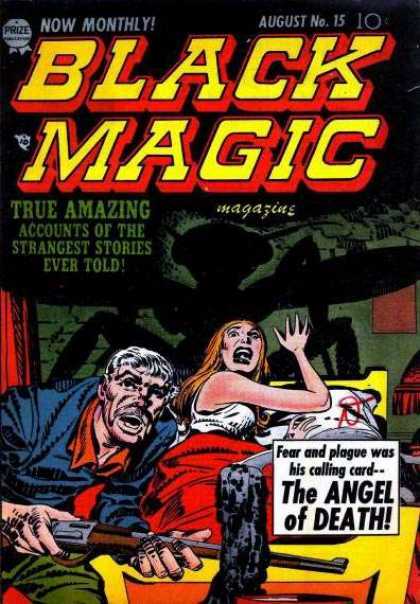 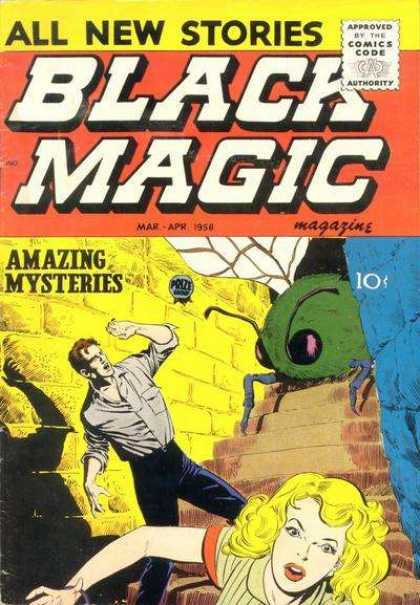 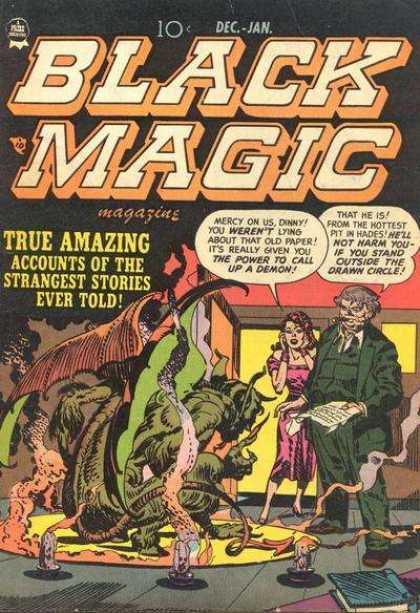 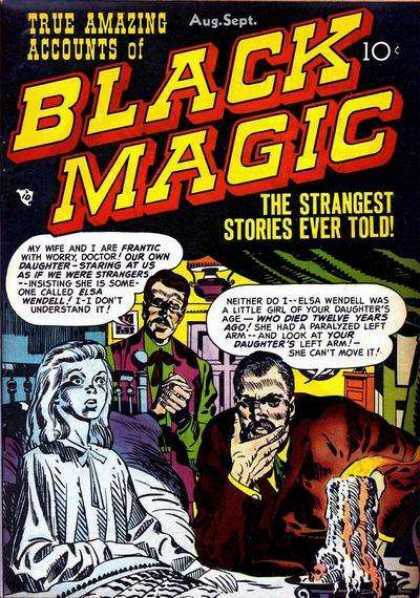 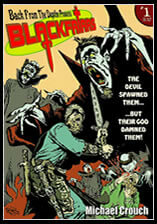 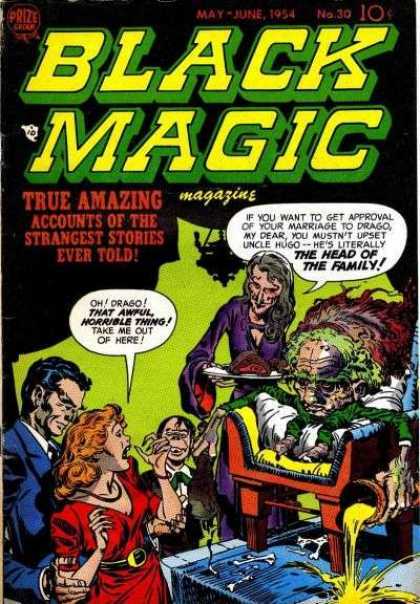 Black Magic was a horror anthology comic book series published by Prize Comics from 1950-1961. 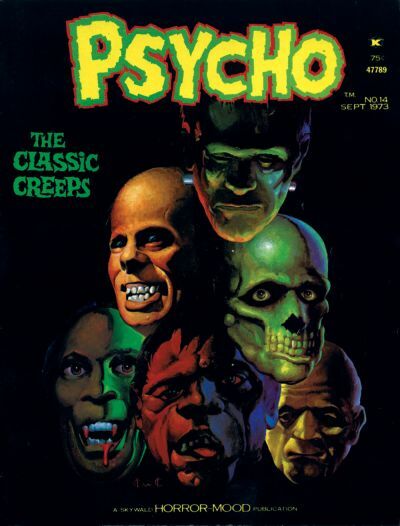 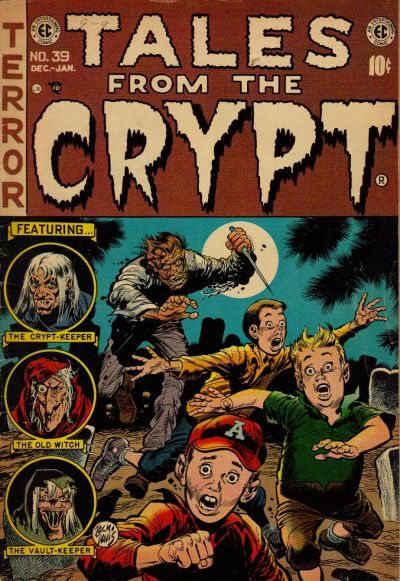 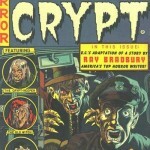 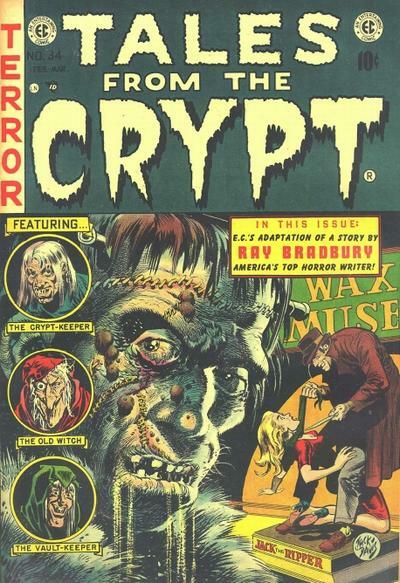 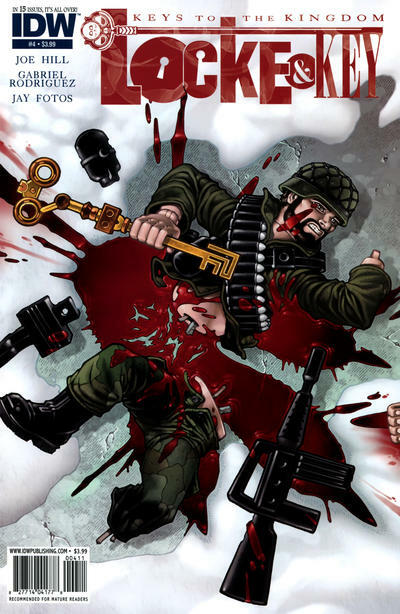 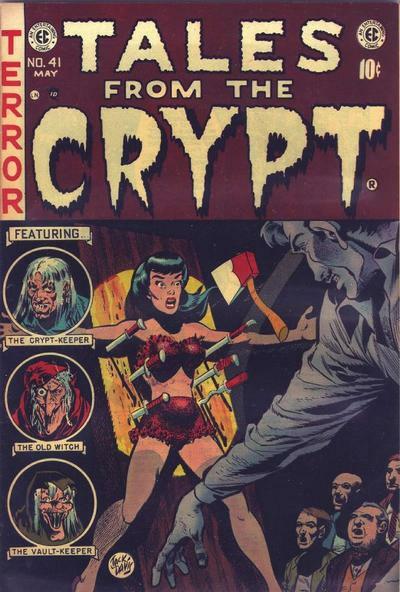 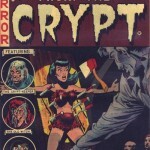 The series was notable for being packaged by the celebrated creative duo Joe Simon and Jack Kirby, and for its non-gory horror content. 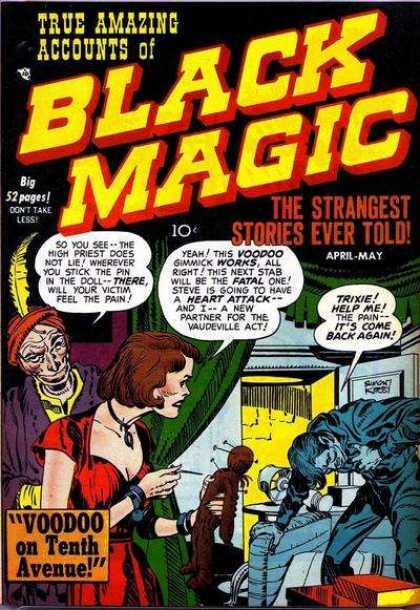 After 50 issues as Black Magic, the title’s numbering continued for three more issues as the humor comic Cool Cat before being canceled. 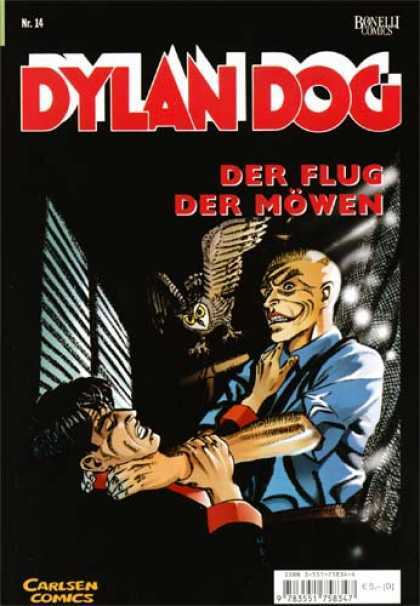 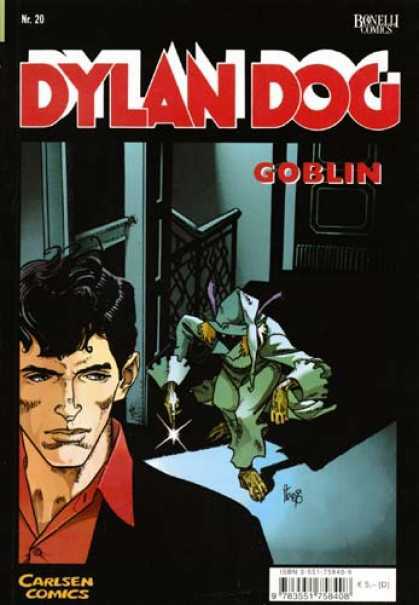 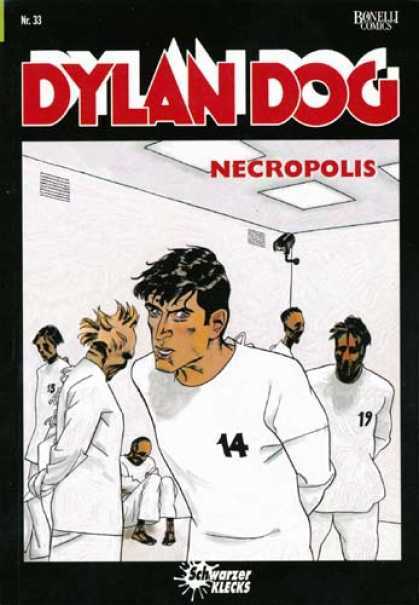 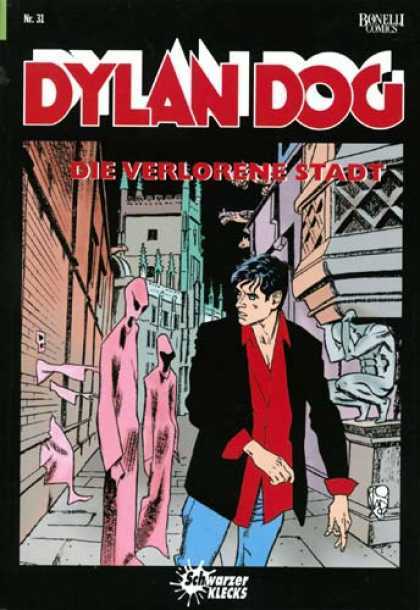 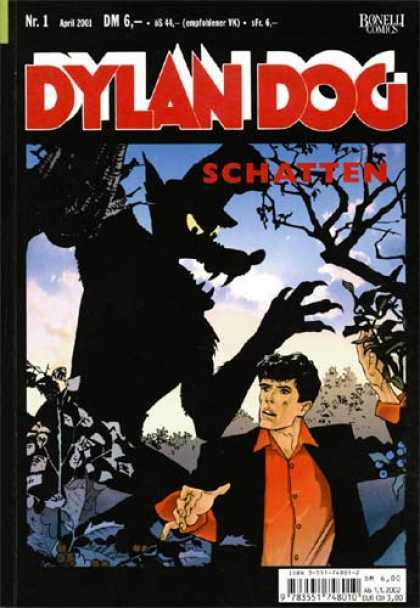 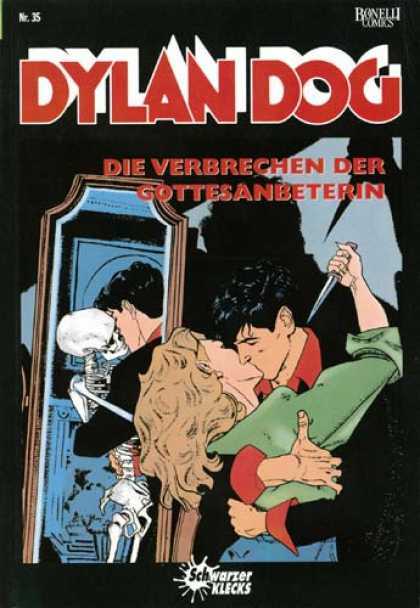 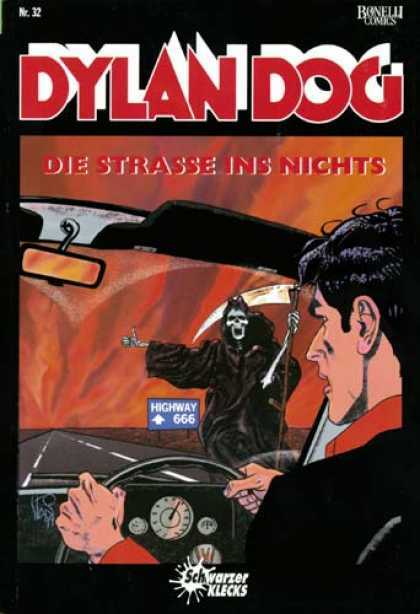 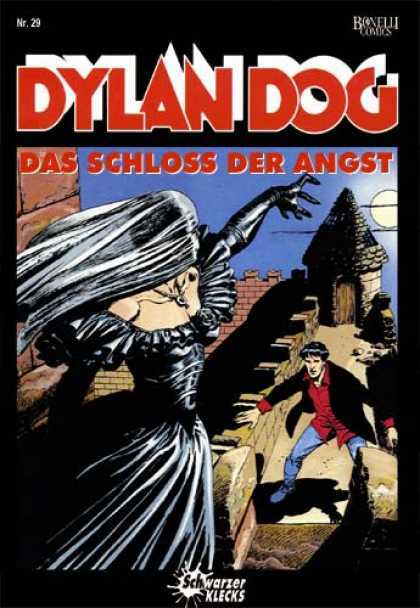 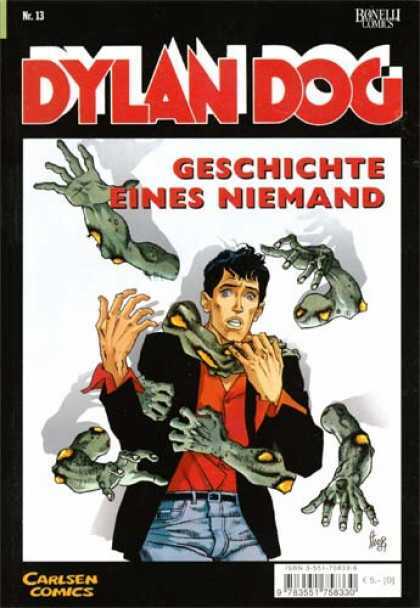 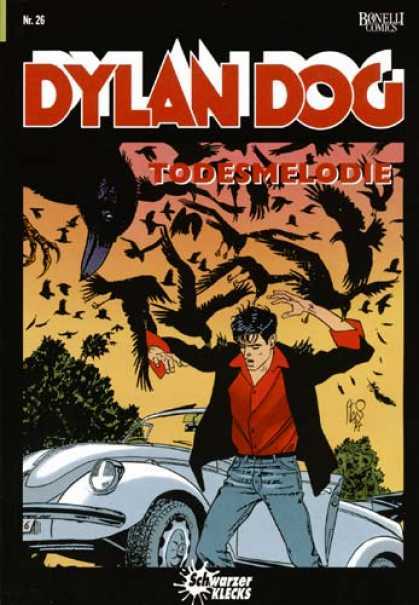 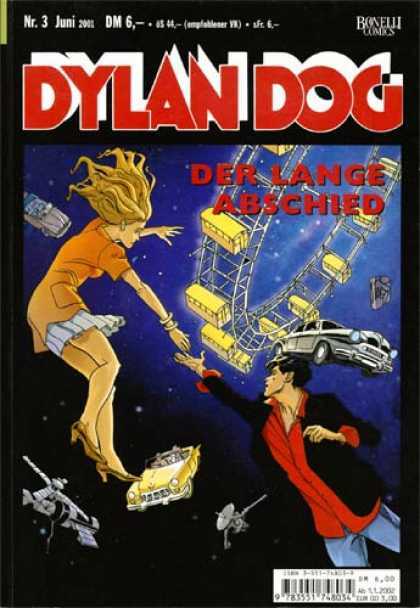 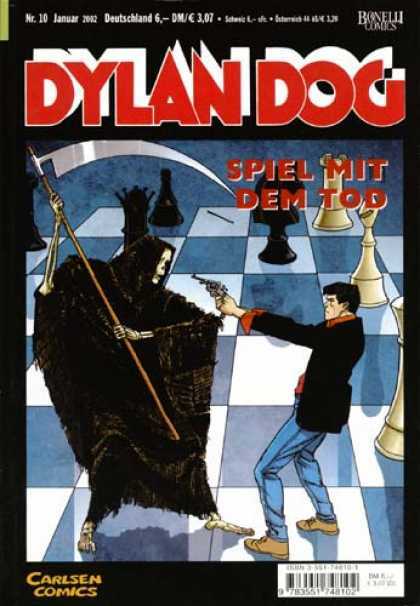 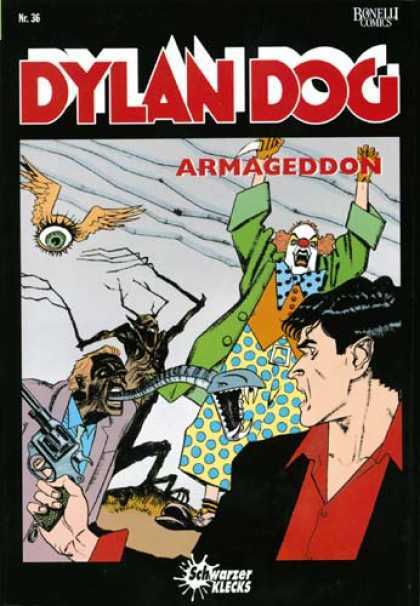 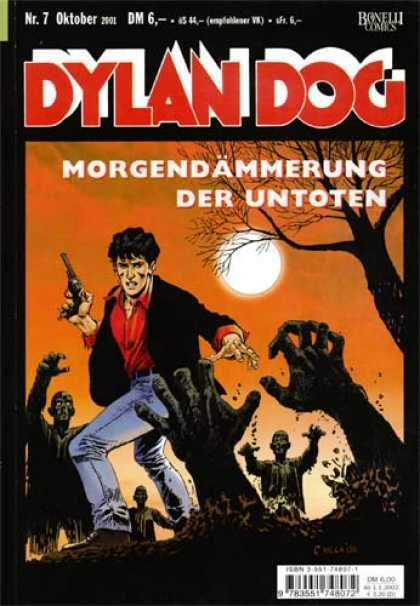 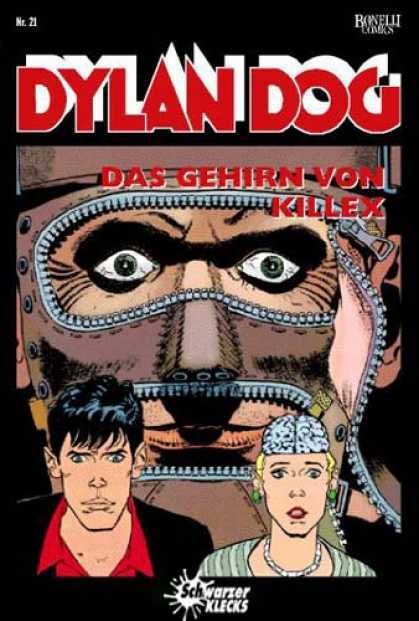 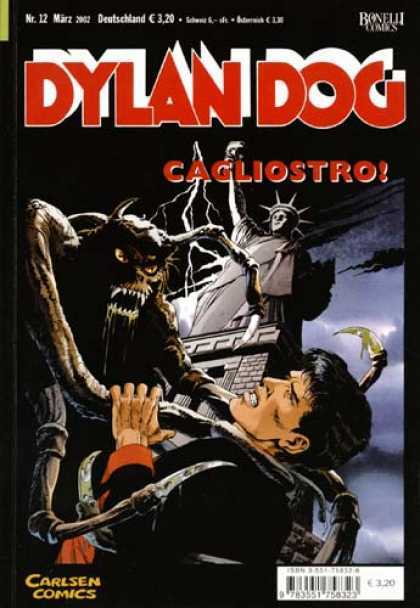 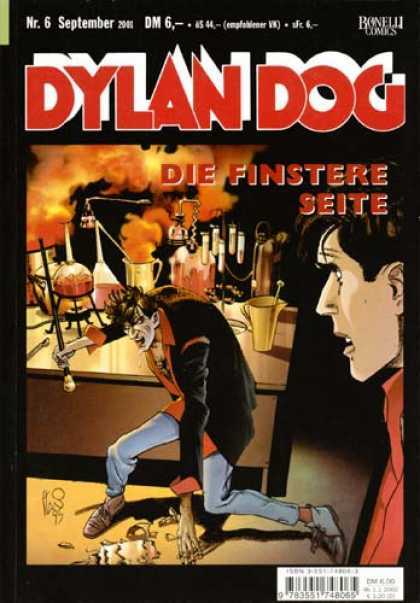 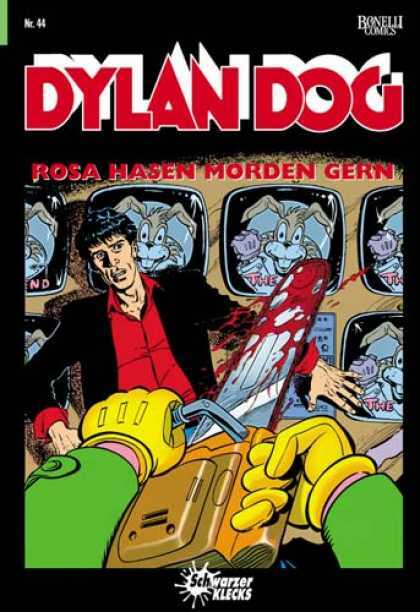 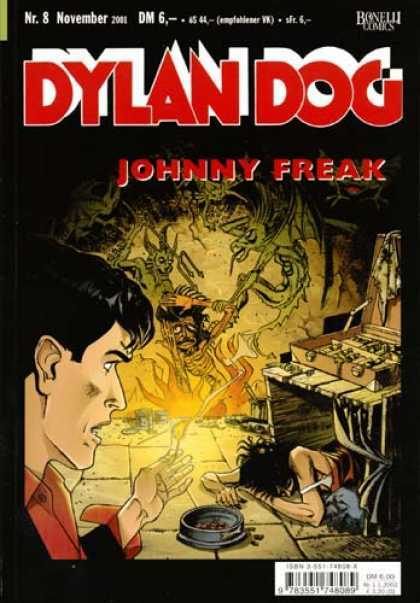 Dylan Dog was written by Tiziano Sclavi and drawn by Claudio Villa and is widely reconginsed as the most popular comic book in Italian history as well as selling countless copies around the world. 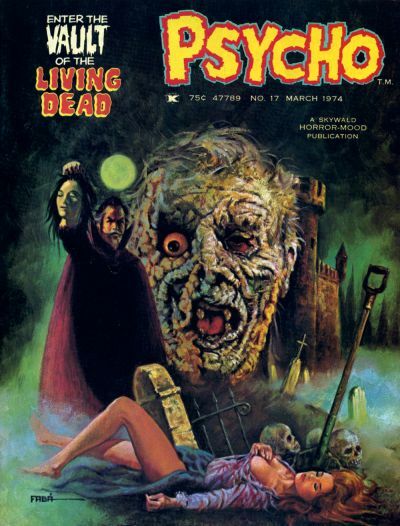 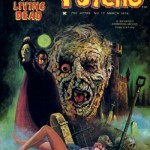 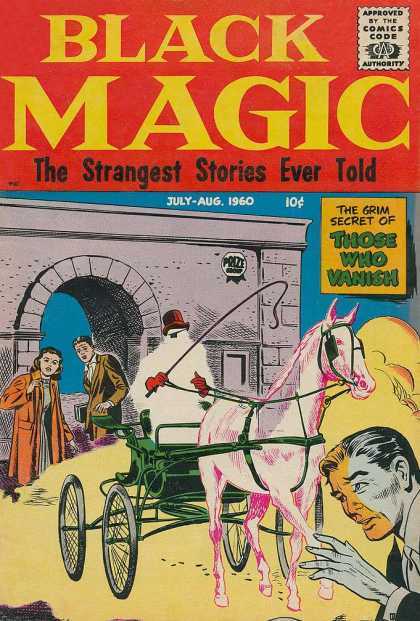 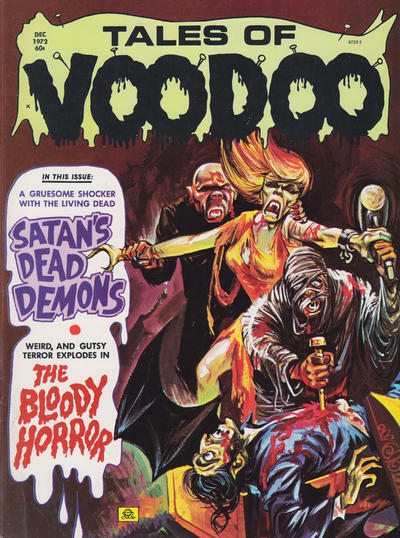 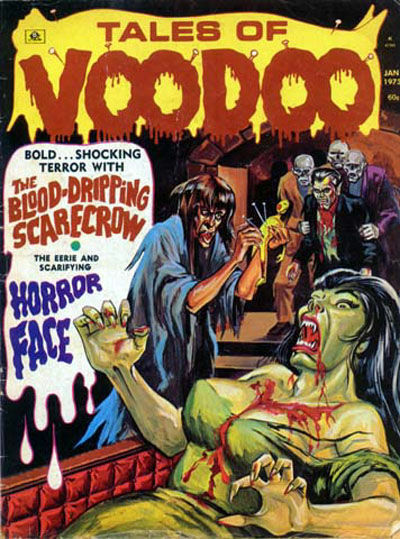 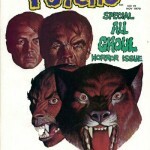 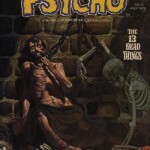 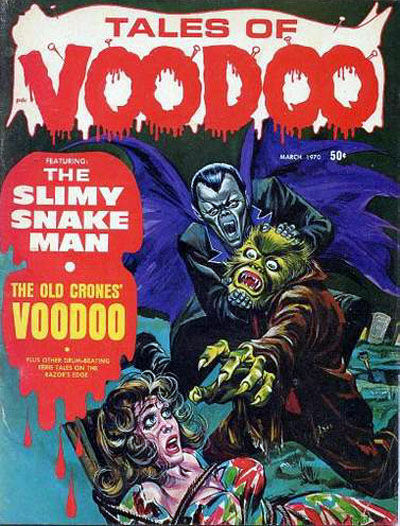 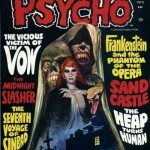 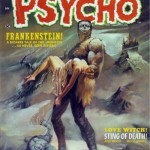 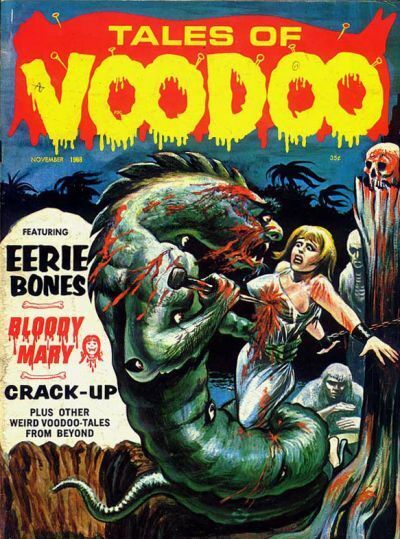 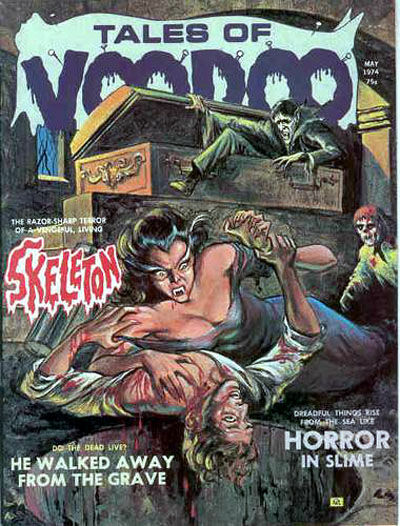 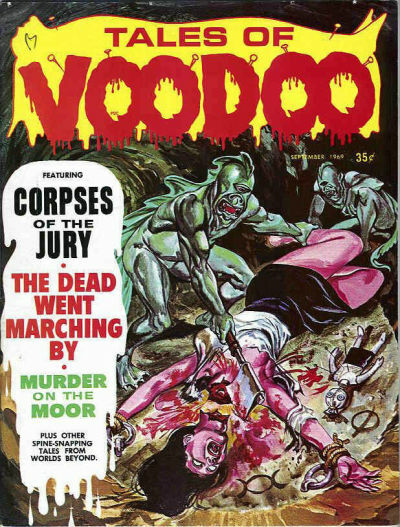 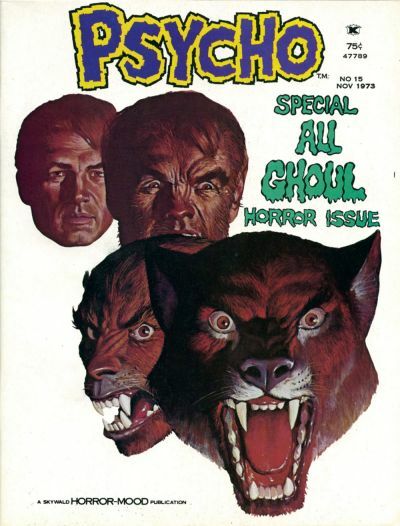 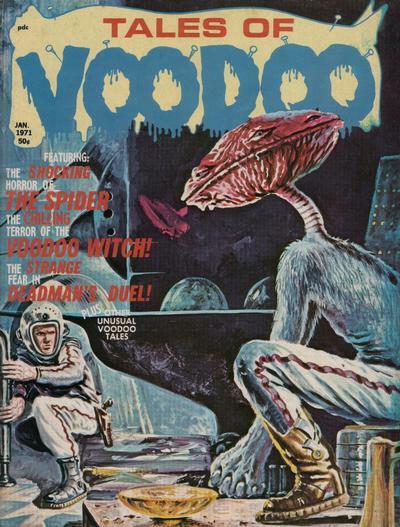 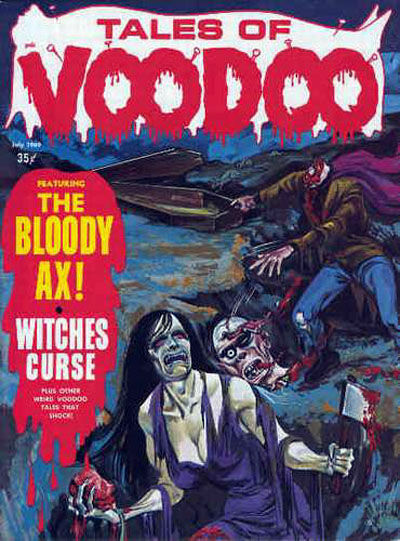 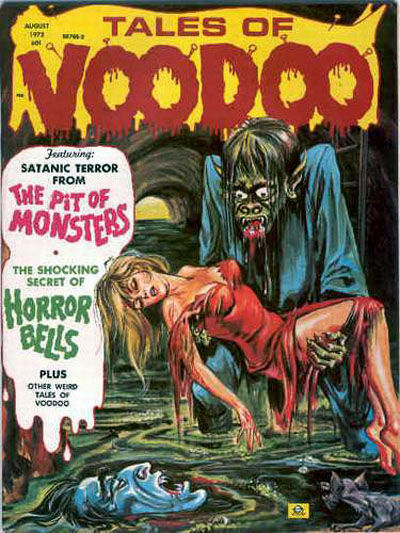 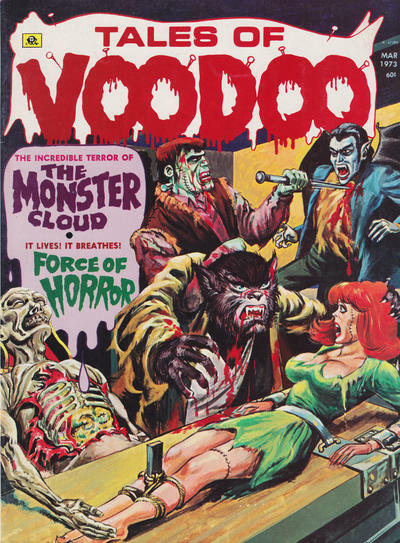 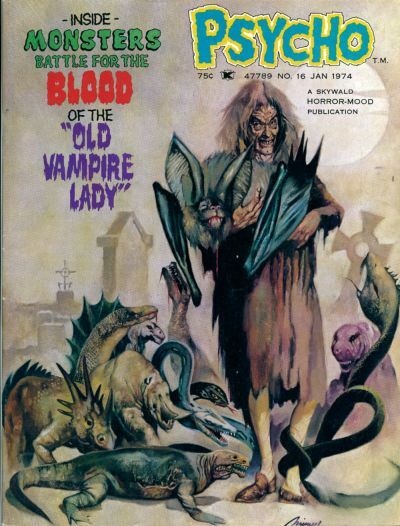 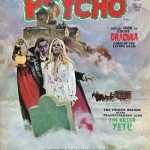 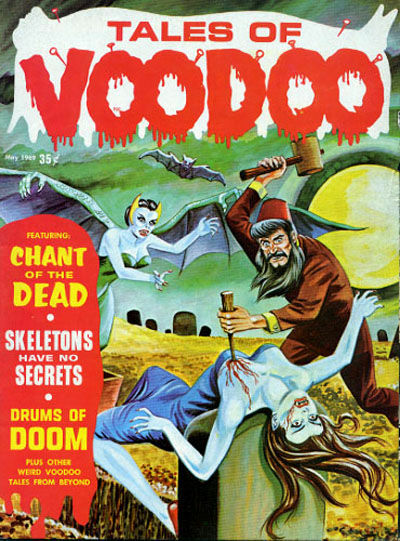 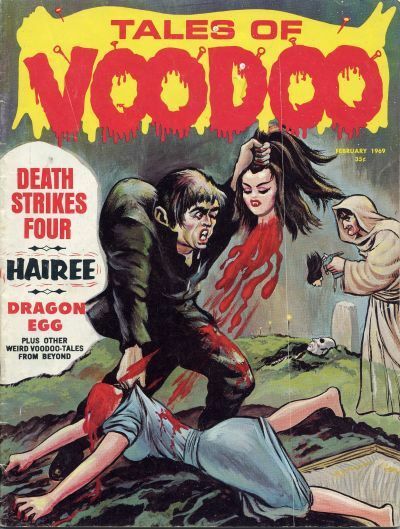 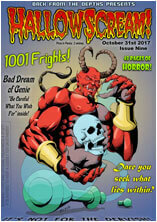 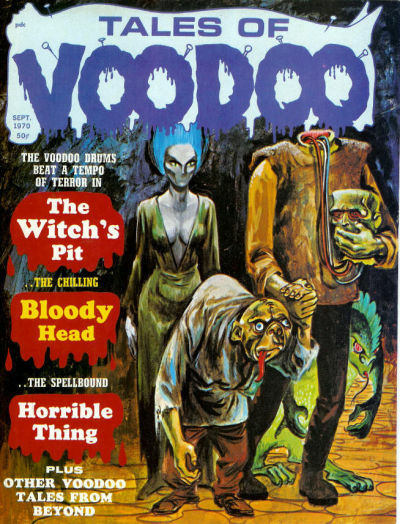 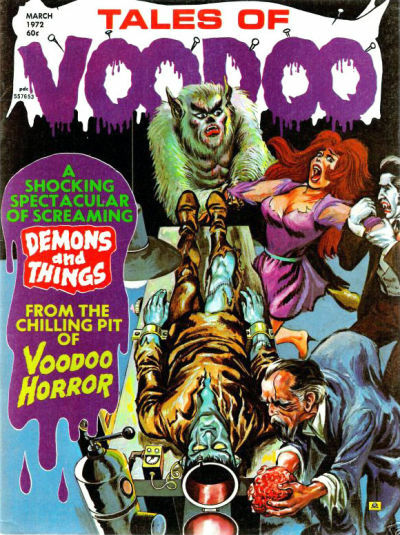 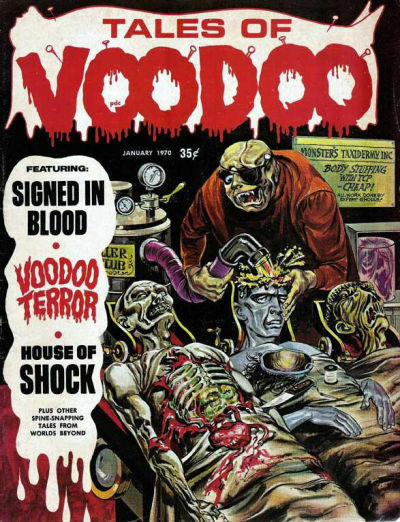 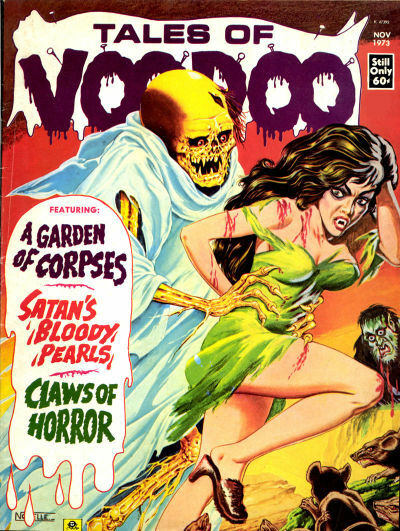 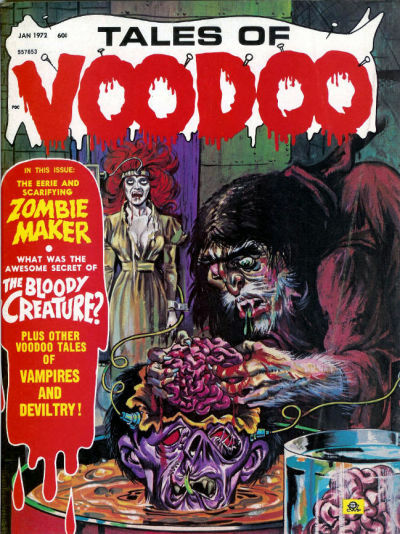 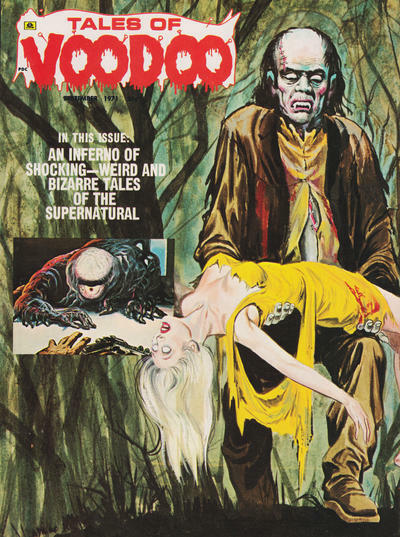 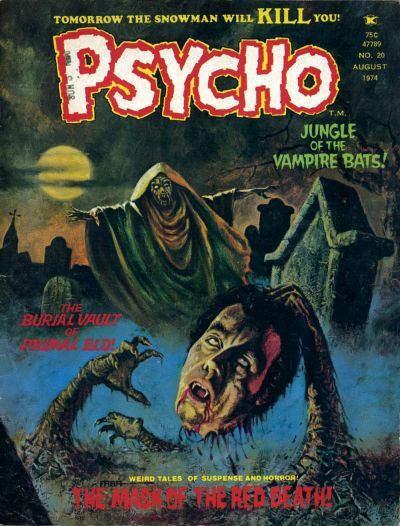 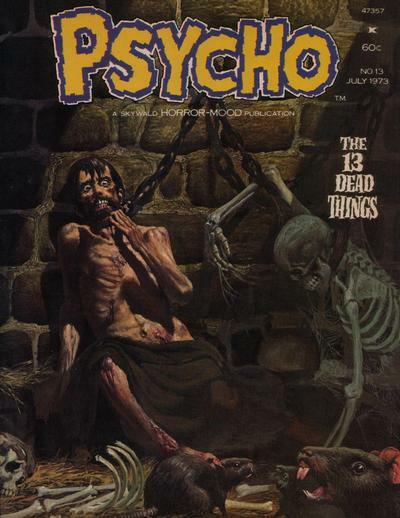 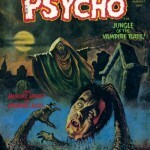 Tales of Voodoo ran for 36 issues, between 1968-1974, and was a part of Eerie Publications. 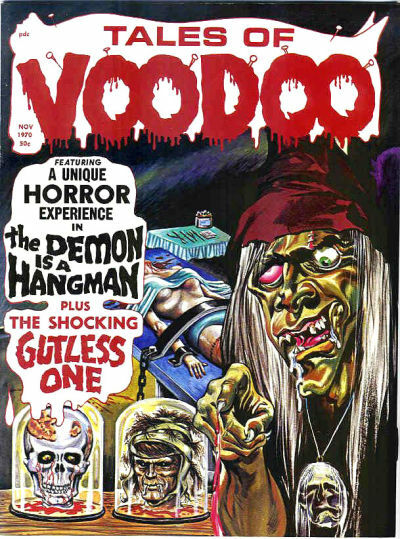 Tales of Voodoo produced some wonderful covers from the likes of Bill Alexander, Oscar Novelle, Carl Burgos and Chic Stone. 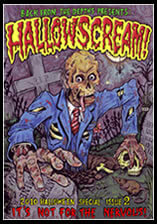 Take a look at the gallery below. 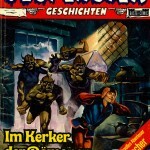 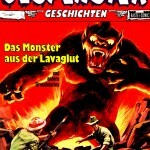 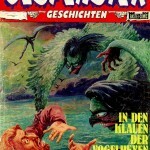 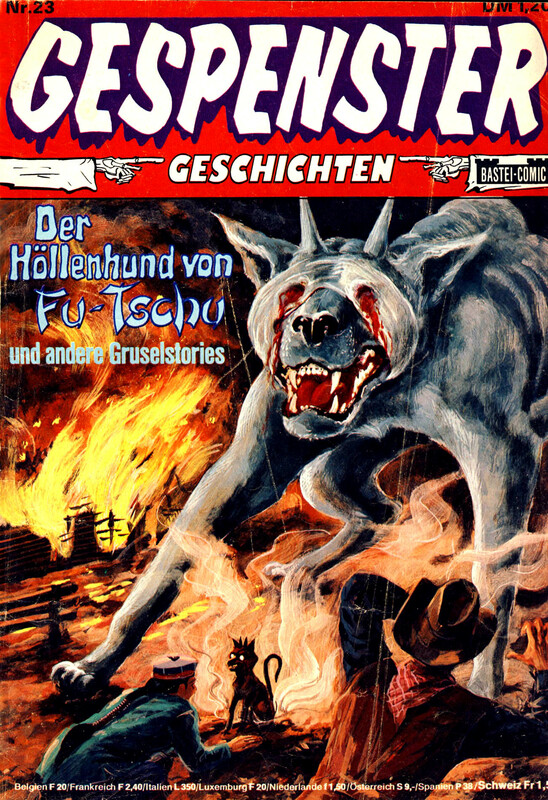 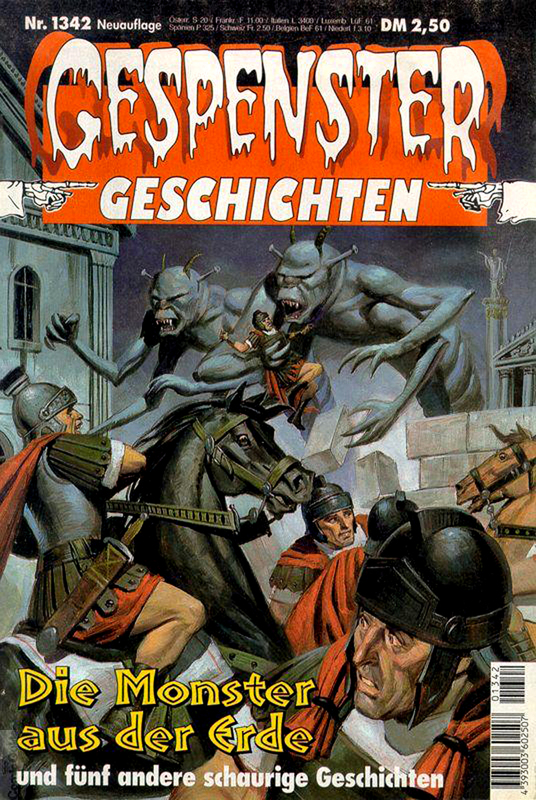 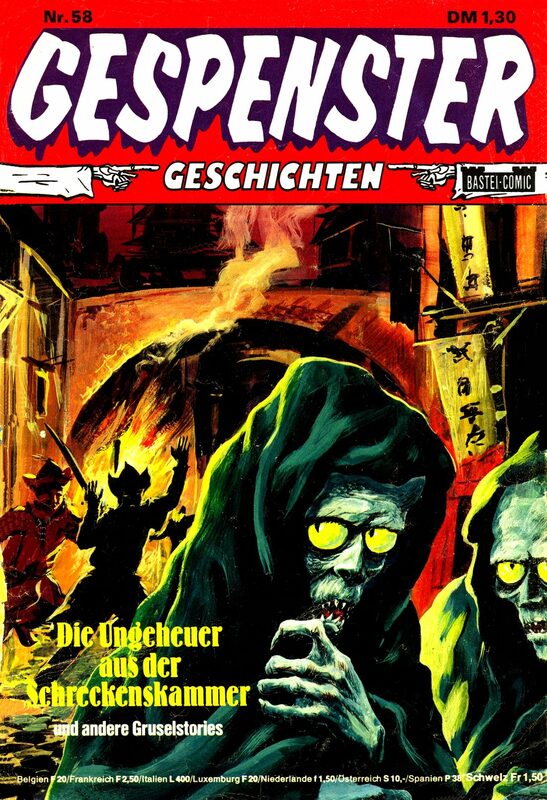 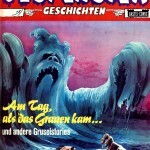 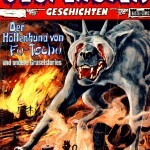 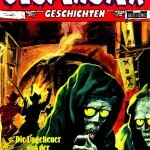 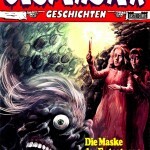 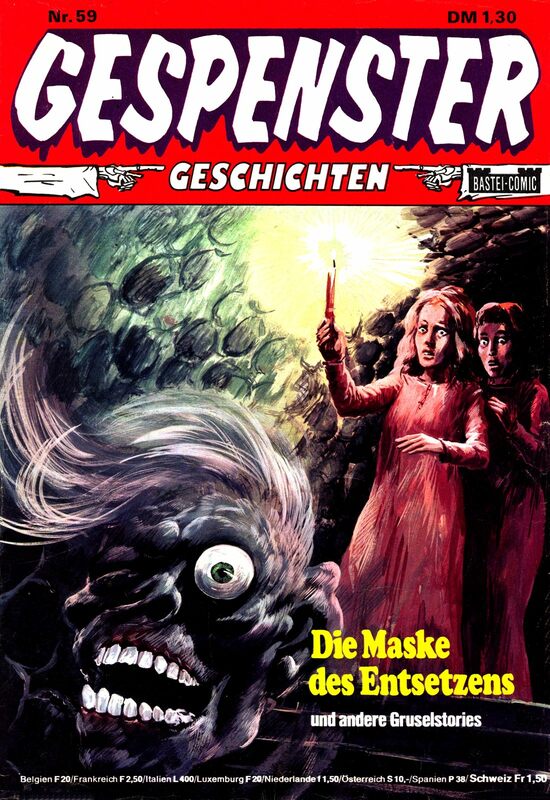 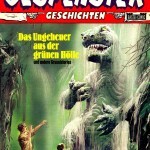 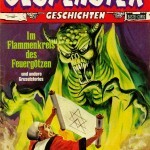 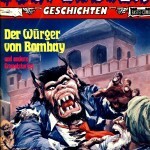 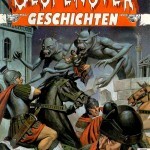 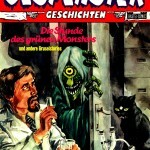 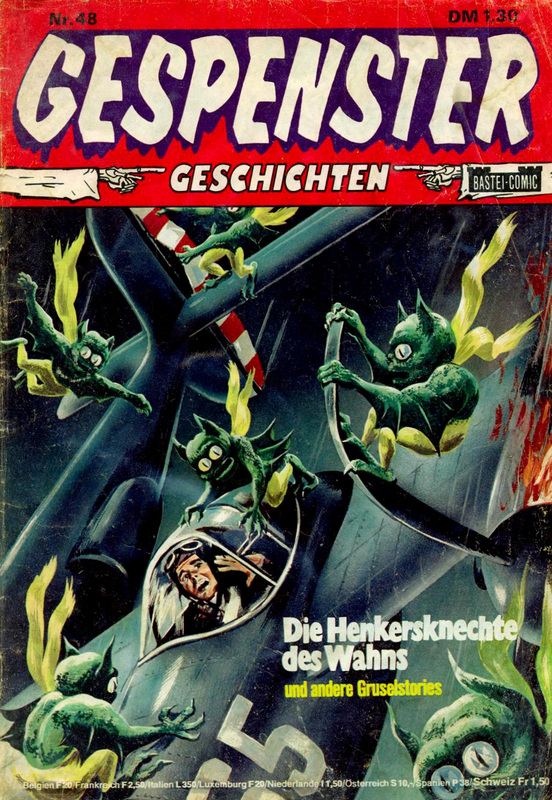 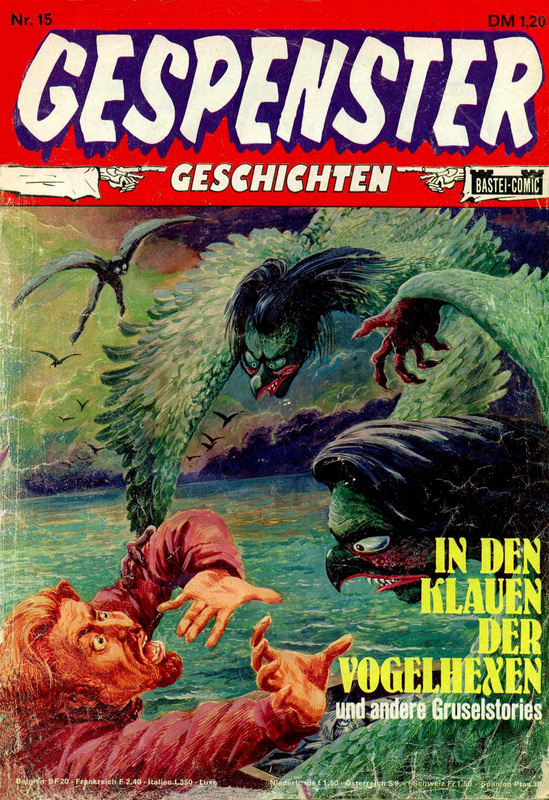 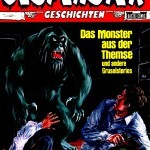 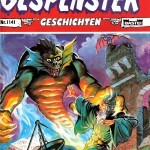 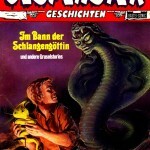 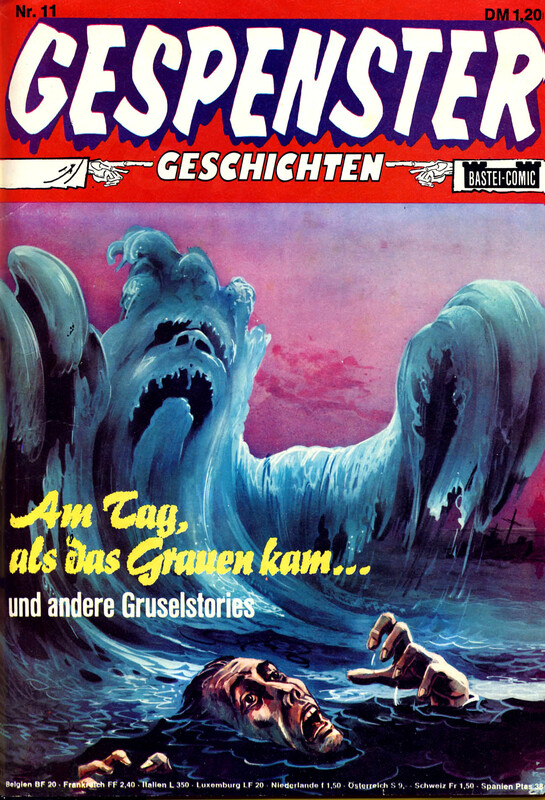 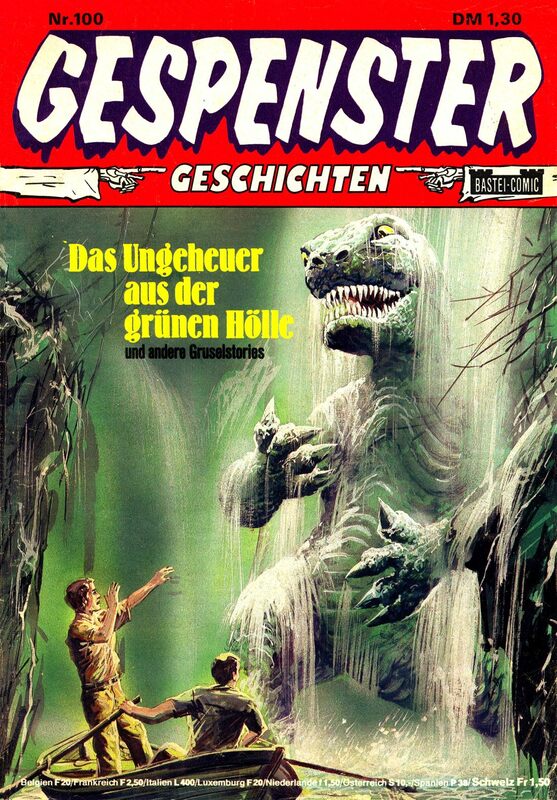 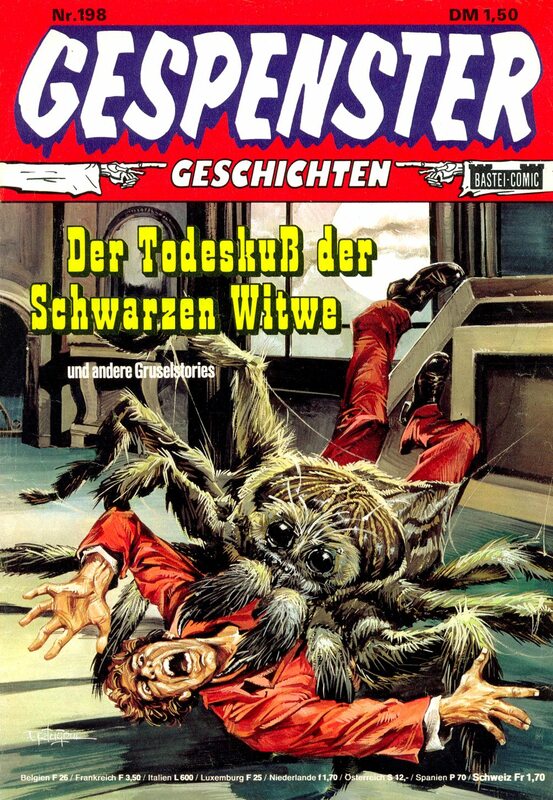 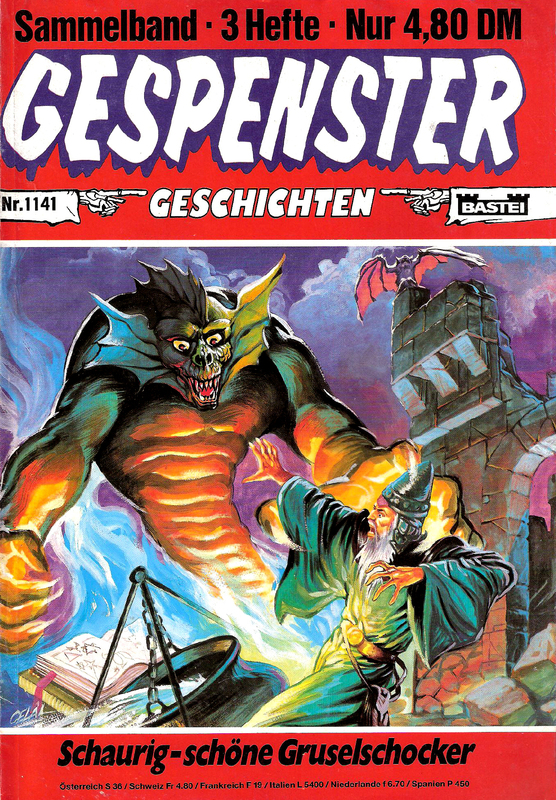 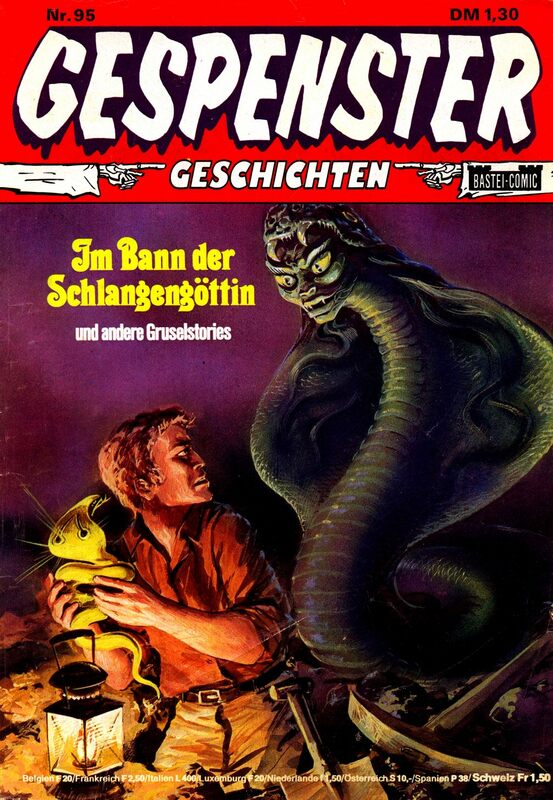 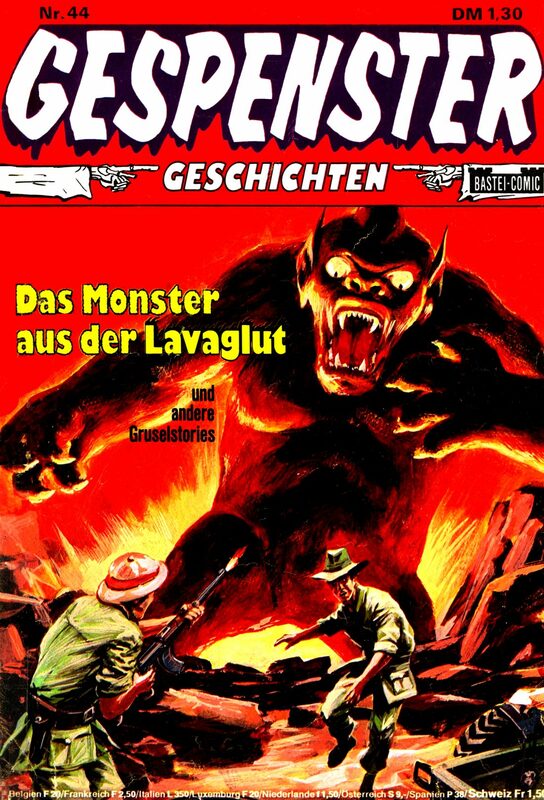 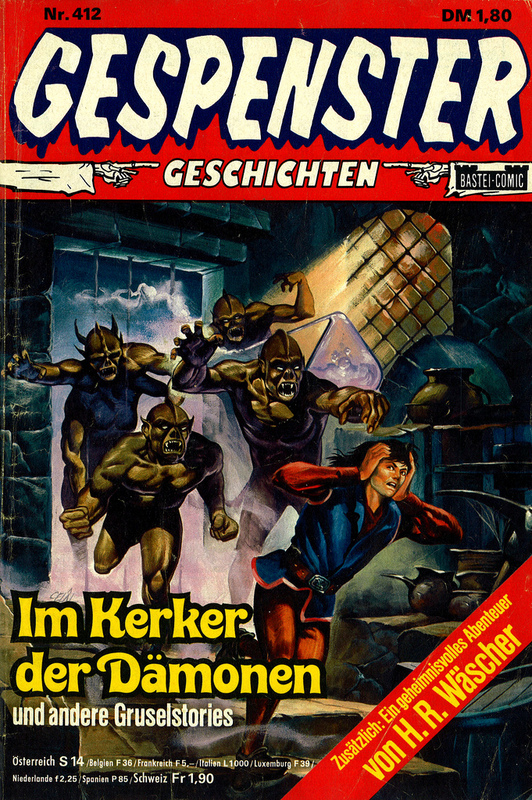 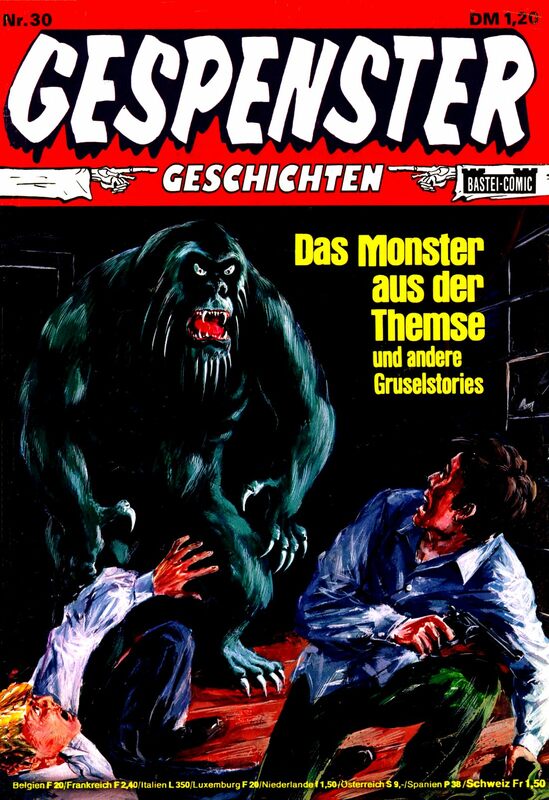 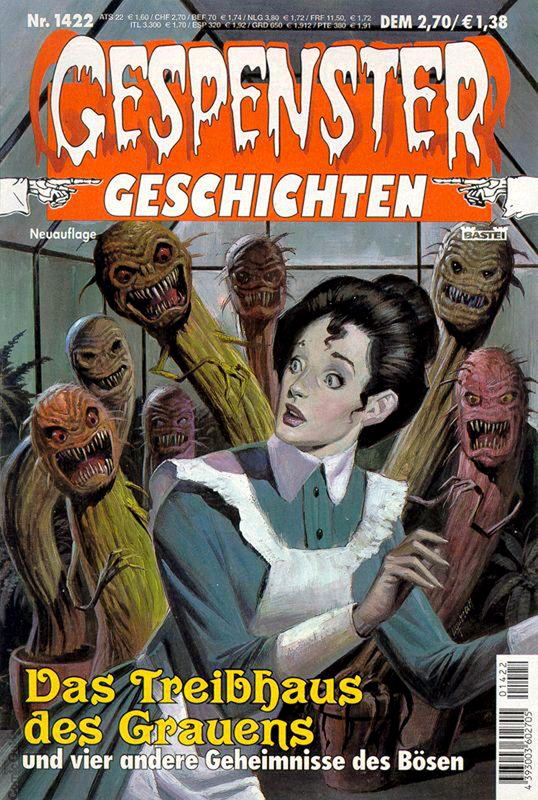 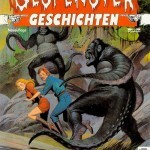 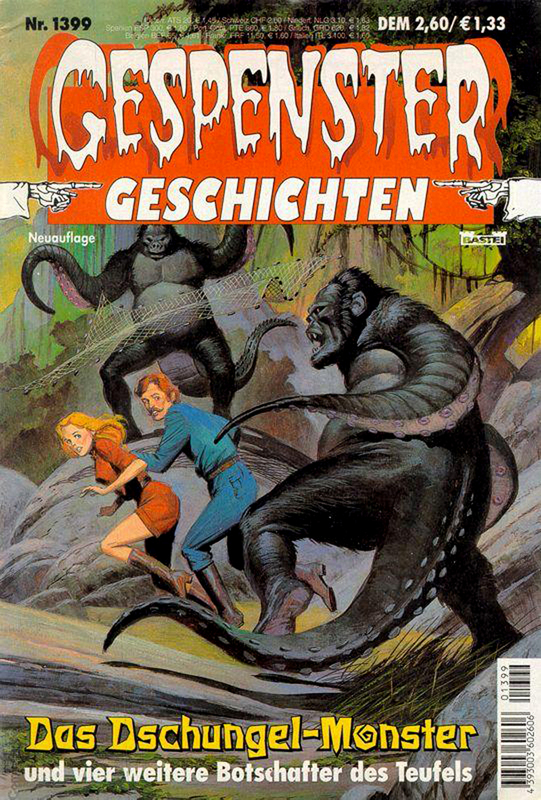 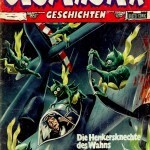 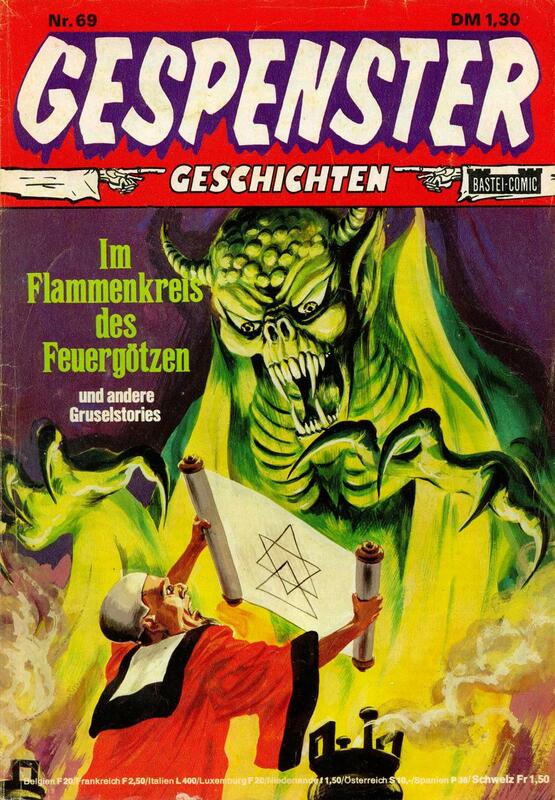 The German horror comic series Gespenster Geschichten (Ghost Stories) appeared from March 1974 to March 2006 pumping out a massive 1654 spooky stories, making it one of the most successful comic book series in Germany. 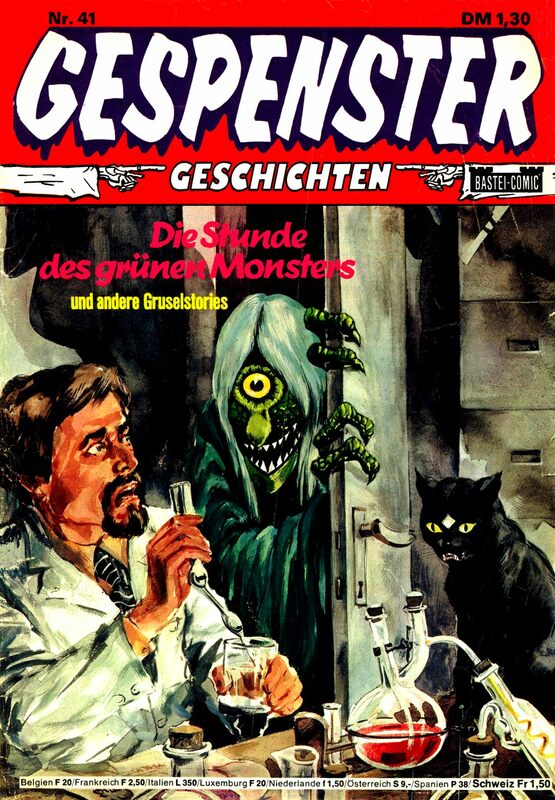 Big thanks to the always wonderful Monster Brains website for these wunderbar scans. 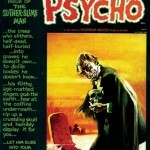 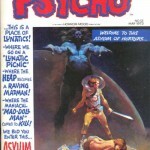 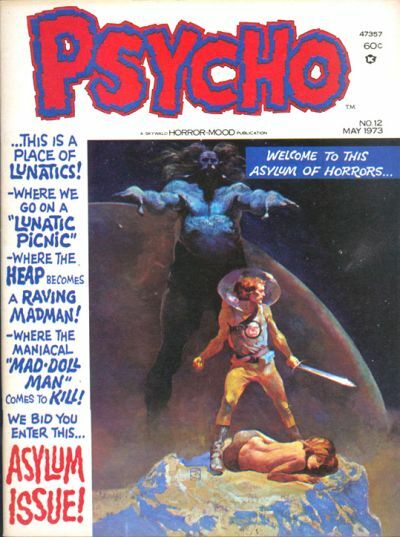 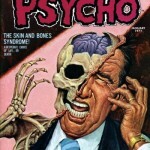 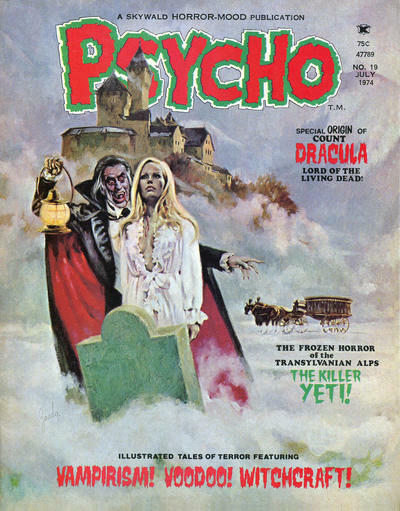 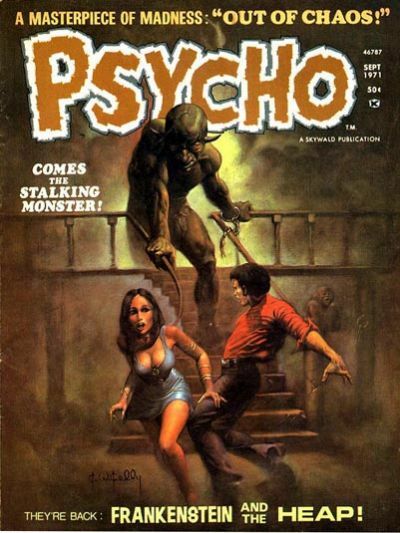 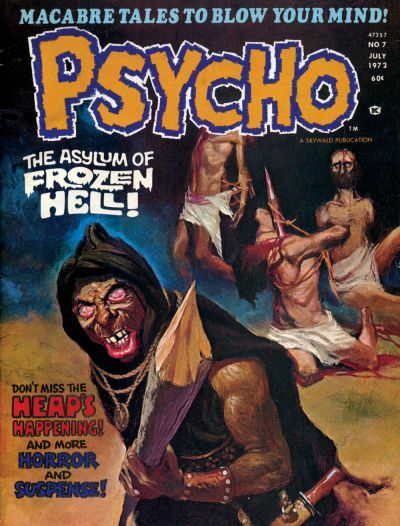 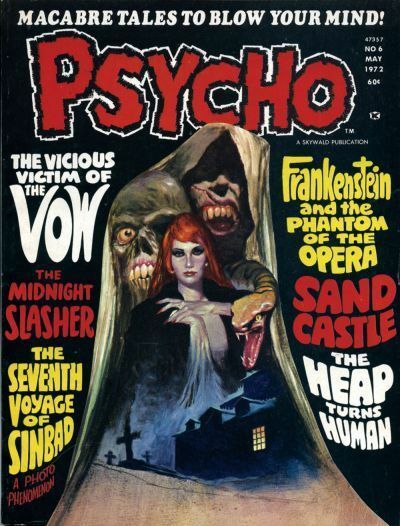 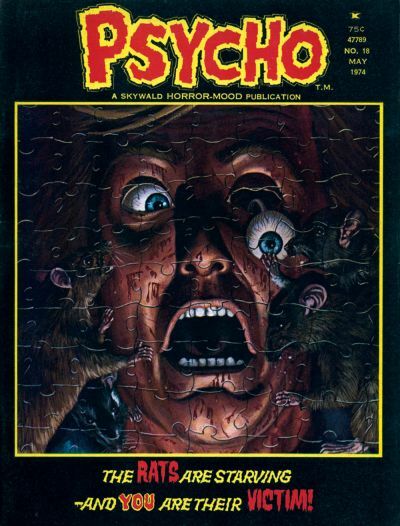 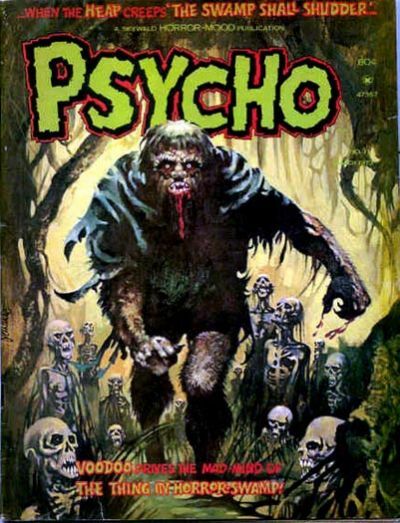 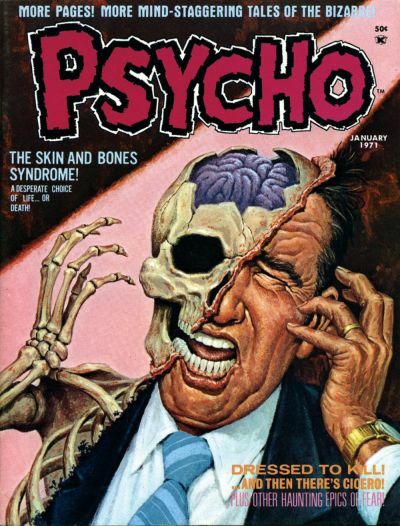 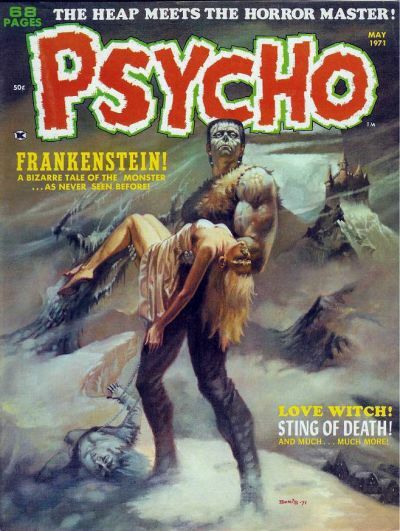 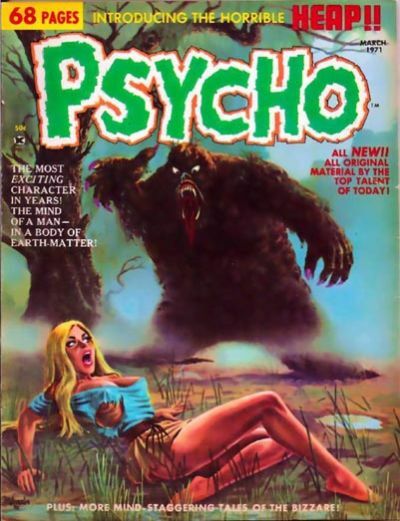 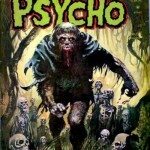 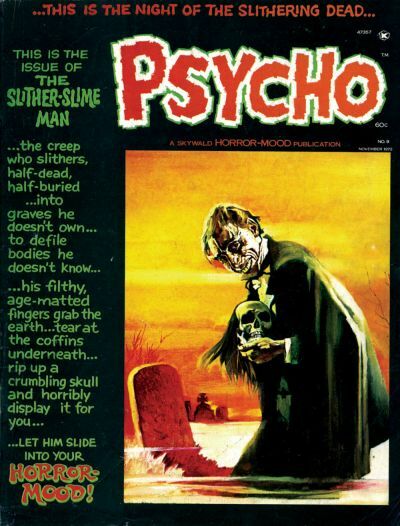 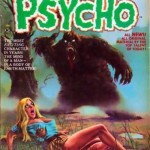 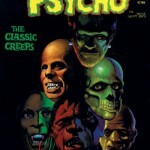 Skywald Publishing’s Psycho ran from 1971 until 1975 along with Nightmare, and Scream, as part of their awesome ‘Horror-Mood’ reign during the 70’s. 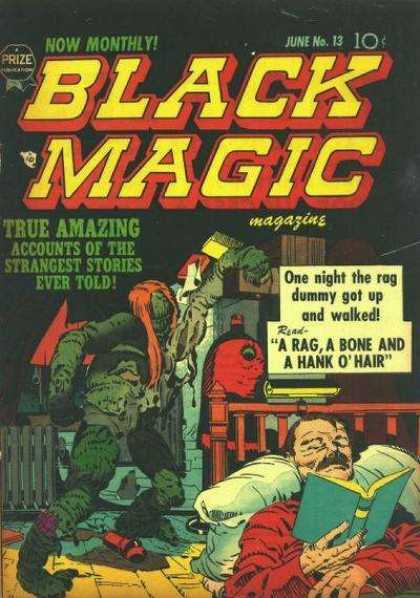 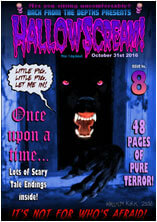 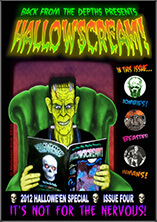 The black and white pages were filled with strange and horrible tales which provd a big hit with horror fans at the time. 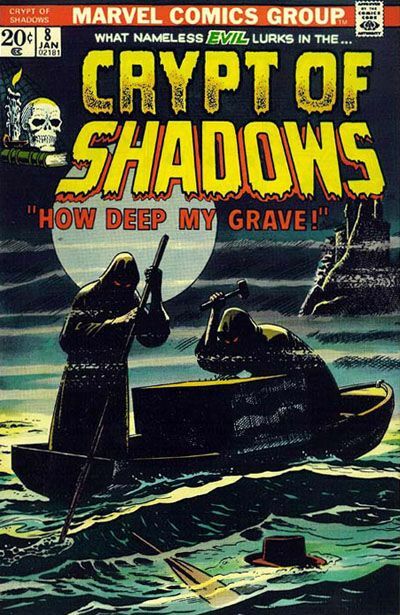 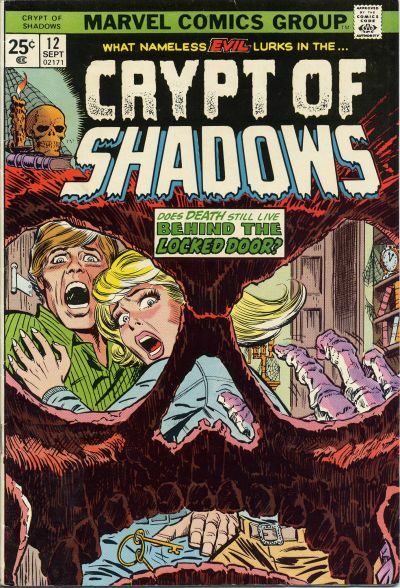 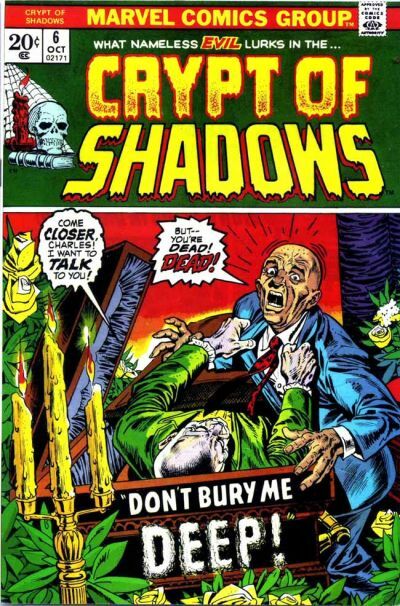 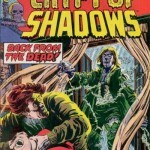 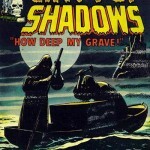 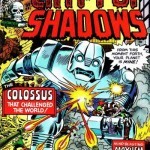 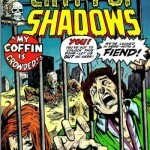 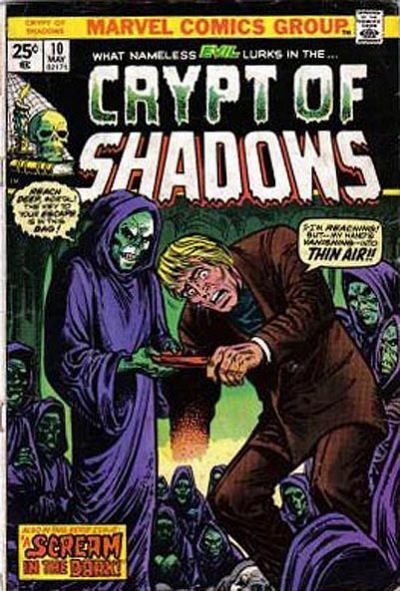 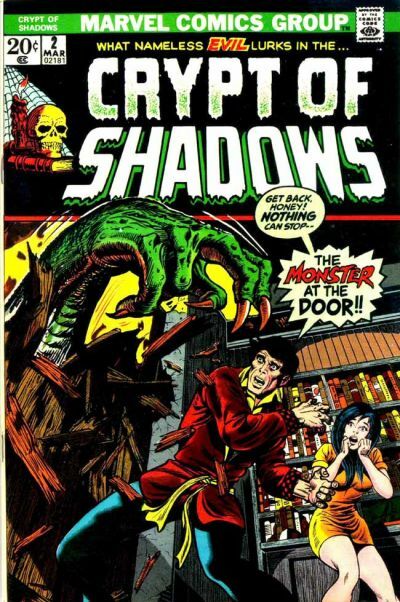 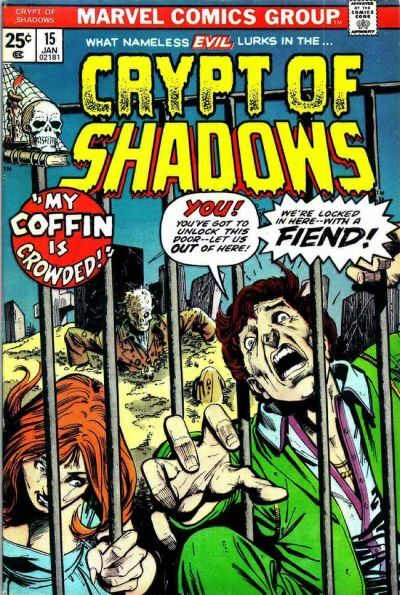 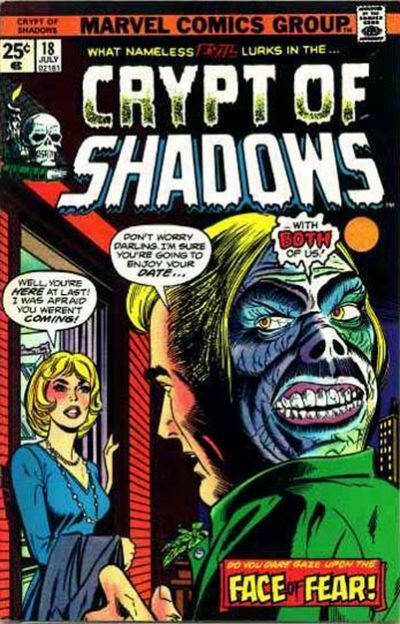 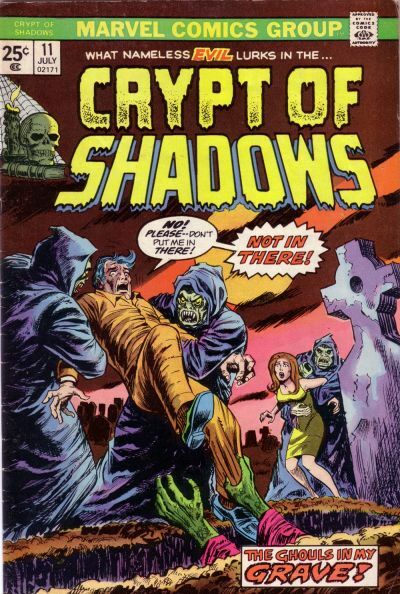 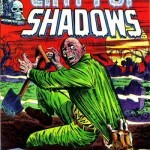 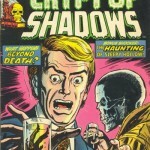 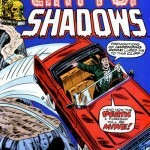 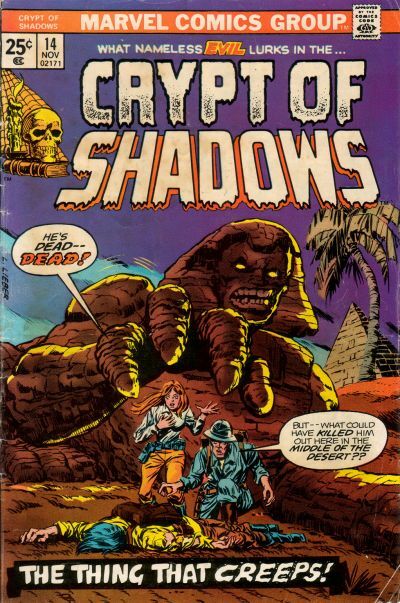 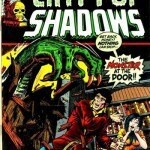 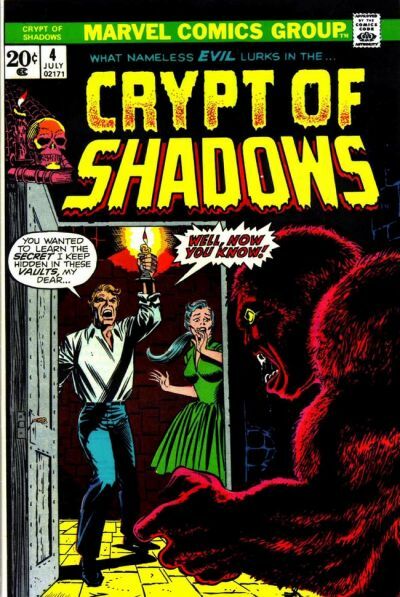 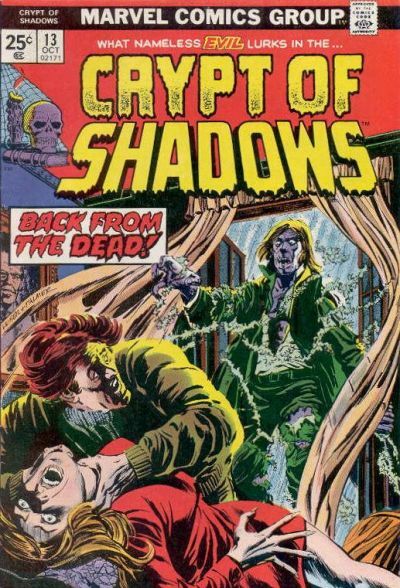 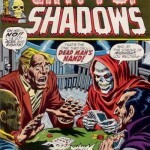 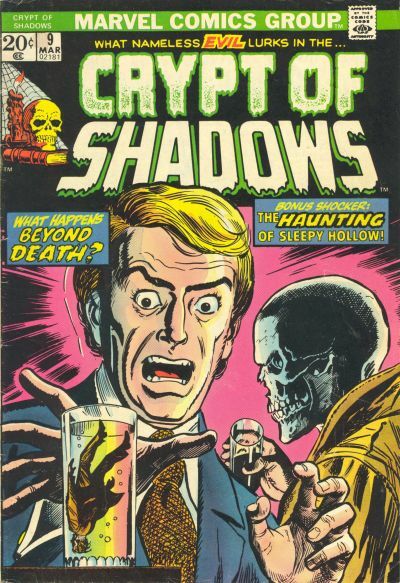 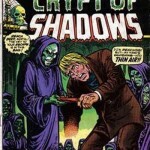 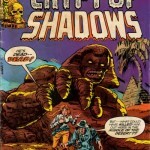 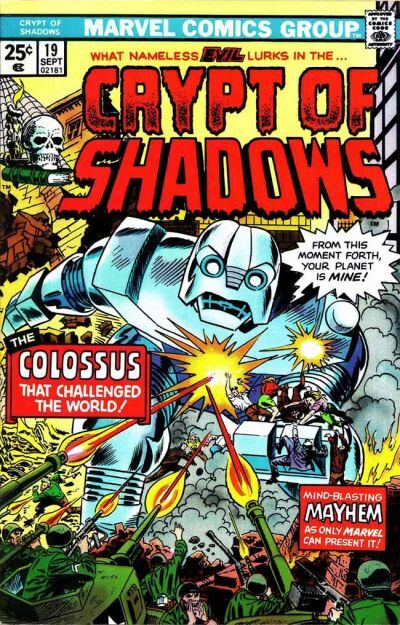 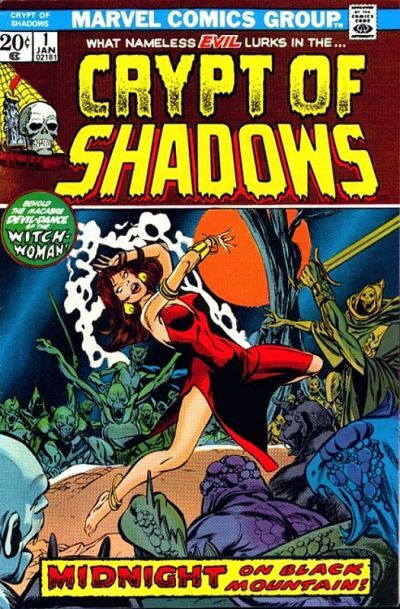 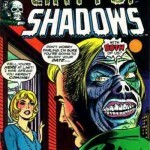 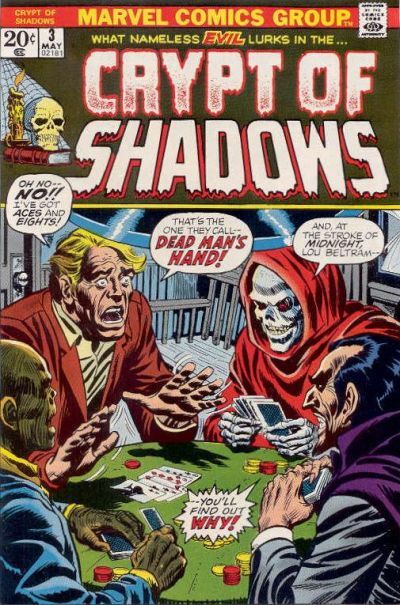 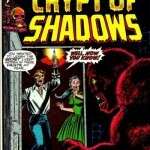 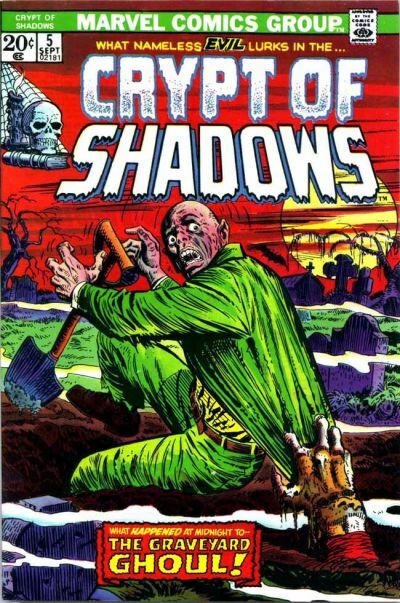 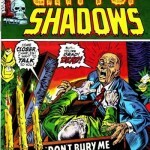 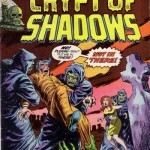 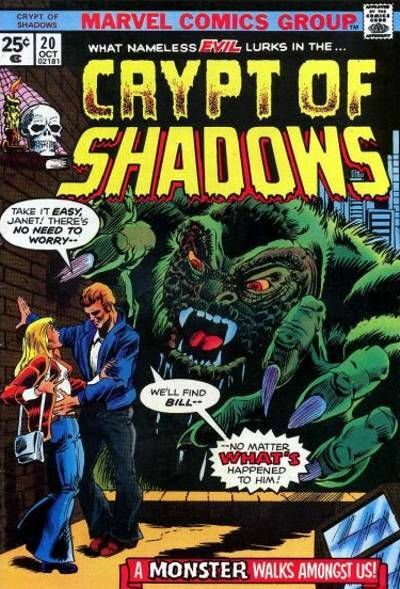 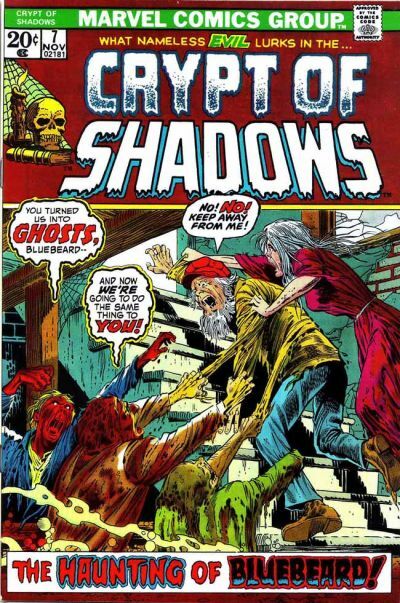 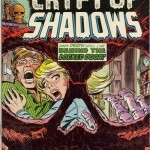 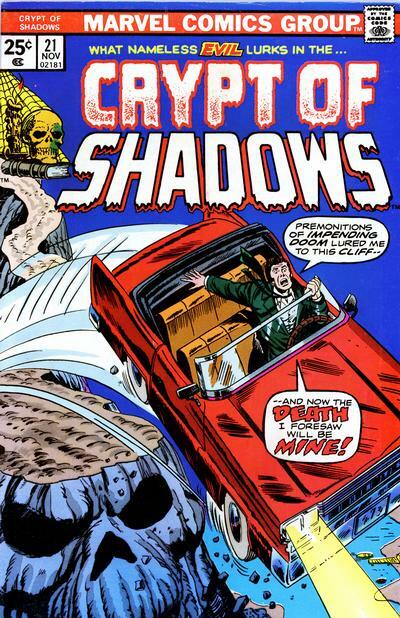 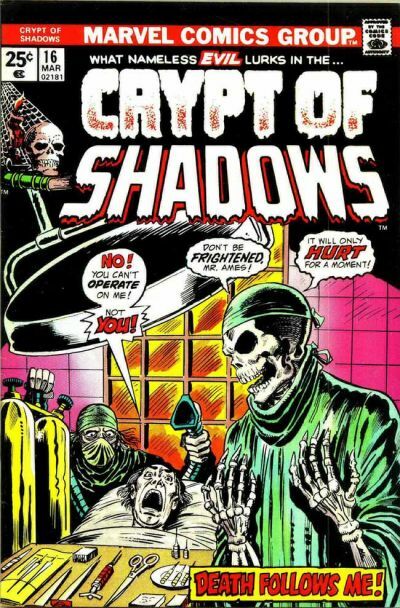 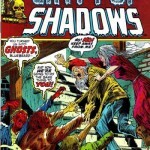 Marvel’s Crypt of Shadows ran from January 1973 until November 1975. 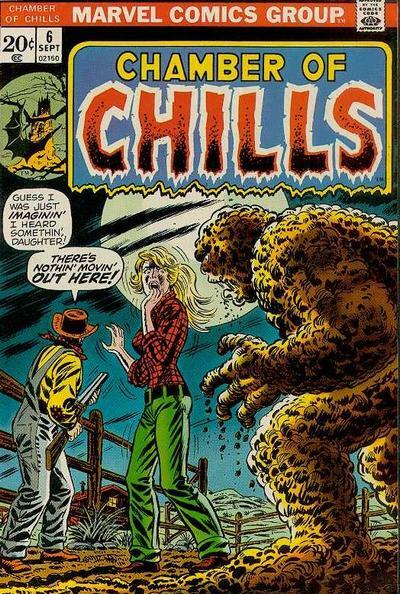 During this time Marvel were producing some great horror titles which seemed to be successful with comic fans looking for scares rather than superheroes. 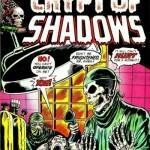 The covers on Crypt of Shadows are works of beauty, take a look for yourself in the gallery below. 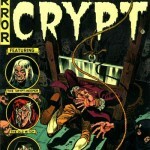 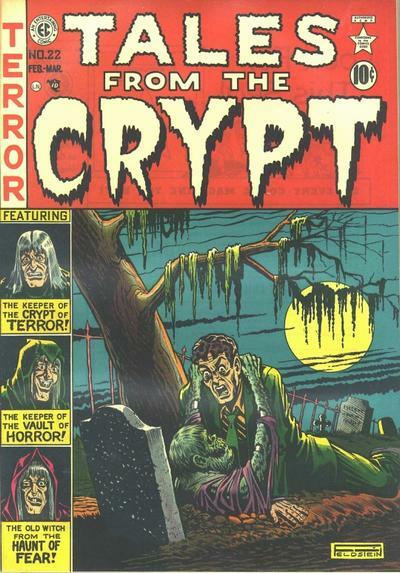 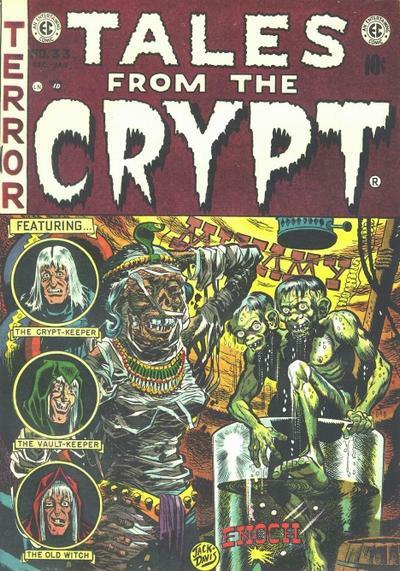 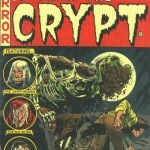 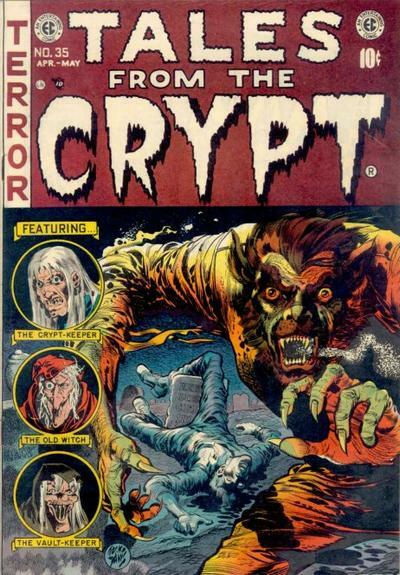 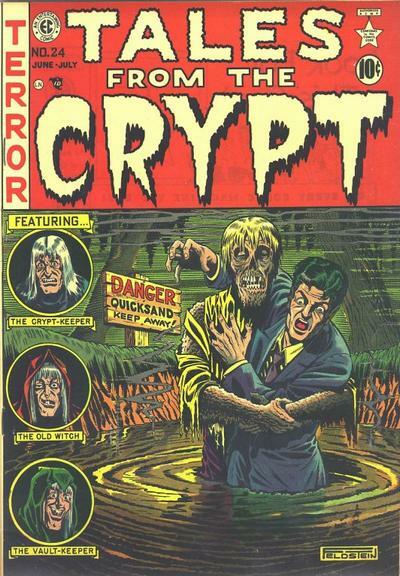 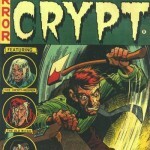 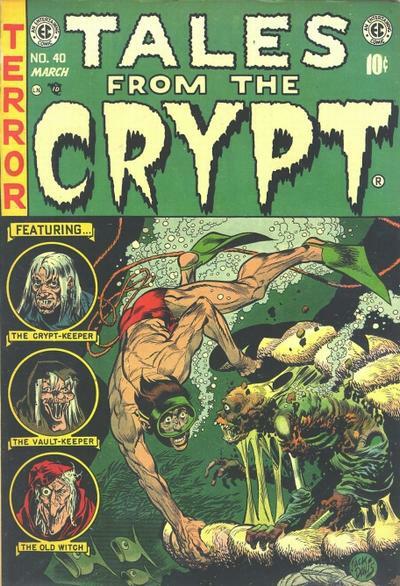 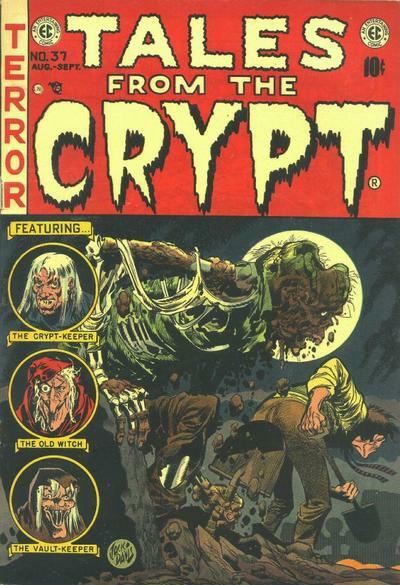 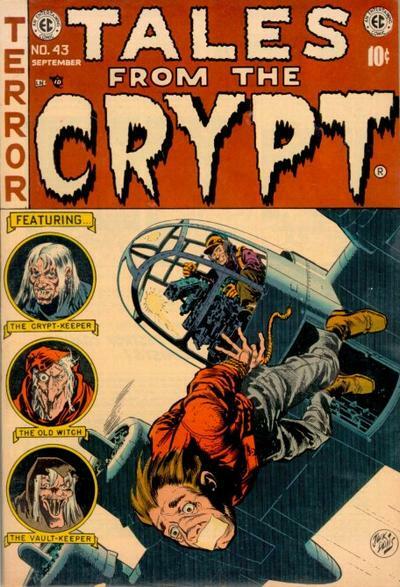 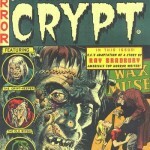 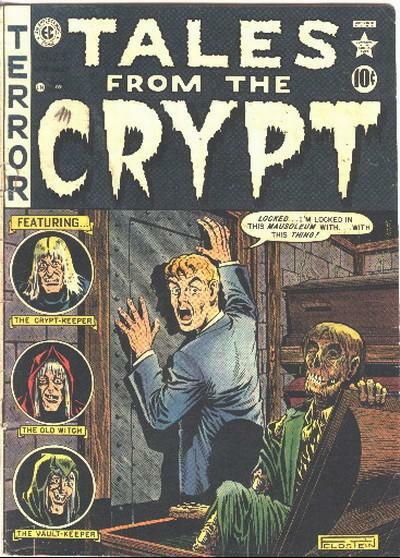 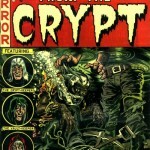 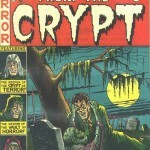 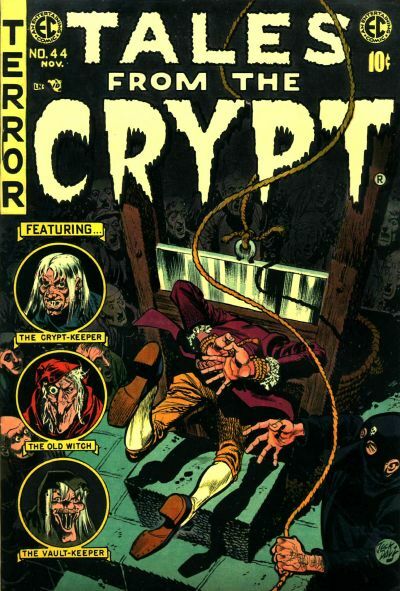 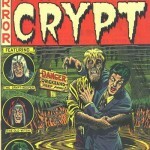 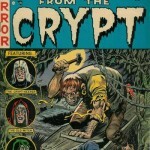 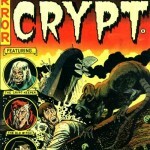 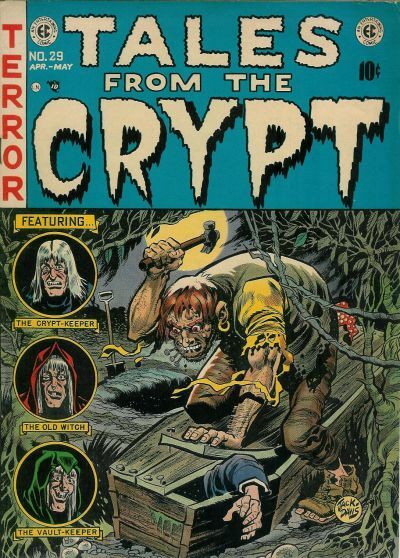 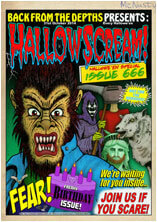 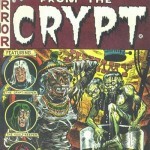 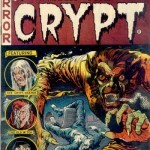 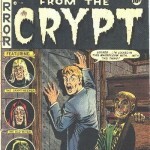 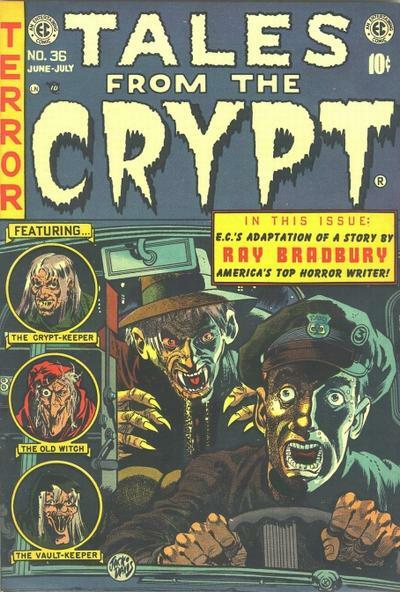 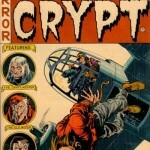 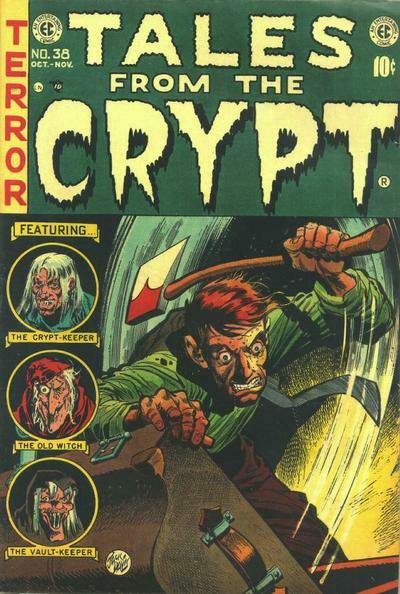 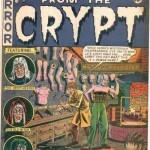 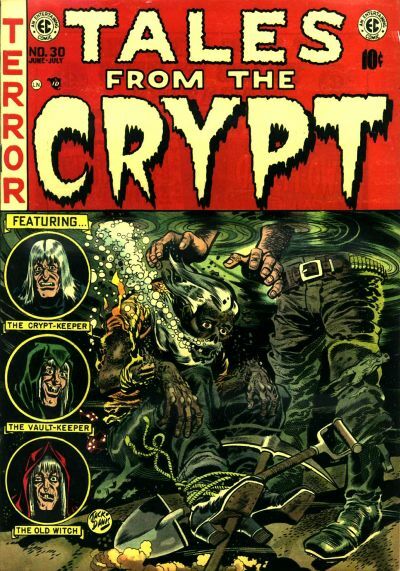 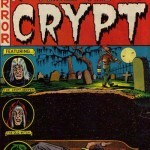 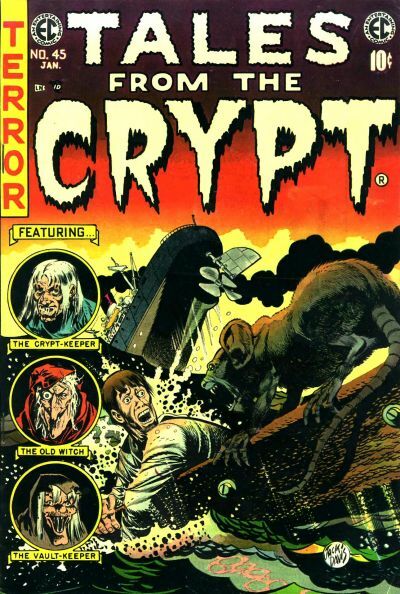 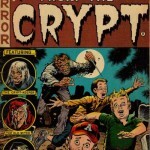 A real treat for you today in our horror comic cover series with the 20 best covers from Tales of the Crypt. 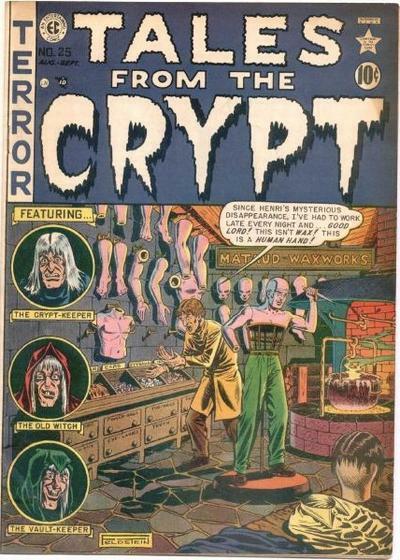 Back in the 50’s news racks were filled with comics vying for the attention of young readers. 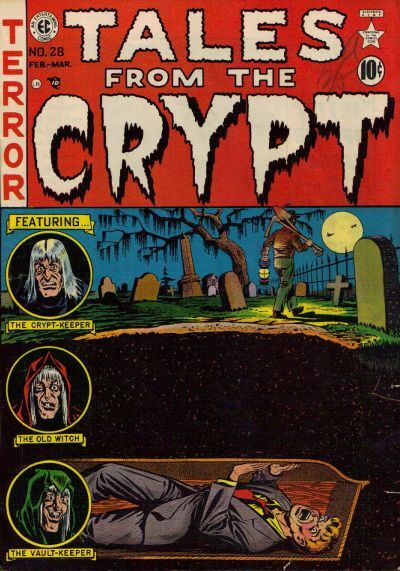 Featuring great artwork from the skilled hands of Johnny Craig, Al Feldstein & Jack Davis, these wonderful covers made E.C.Comics stand out in the crowd. 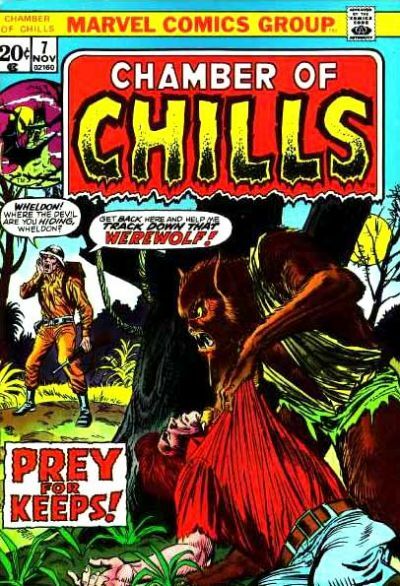 The first Chamber of Chills was a 10-cent horror anthology published bimonthly by Harvey Publications that ran 26 issues (1951 – 1954). 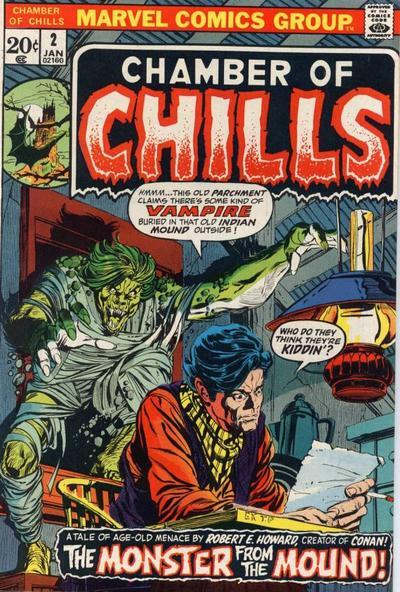 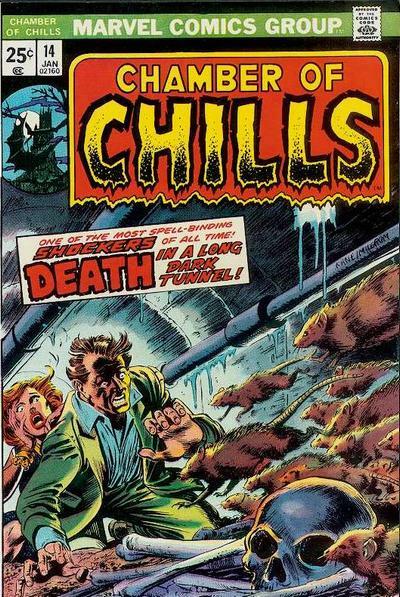 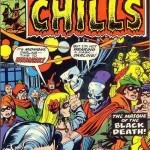 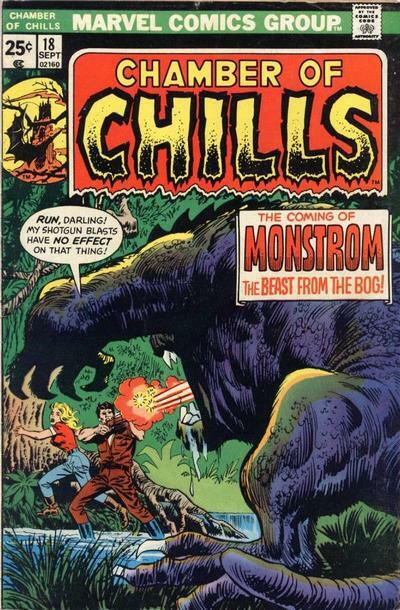 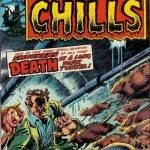 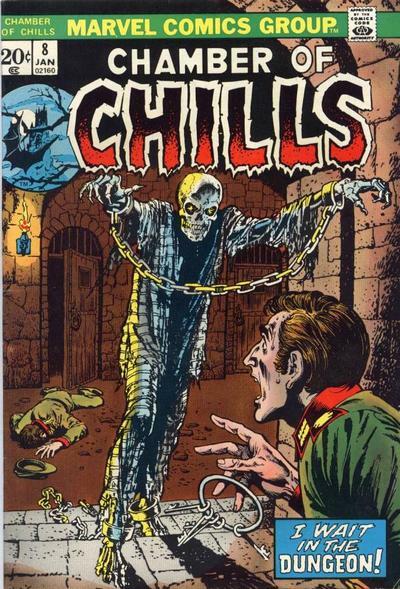 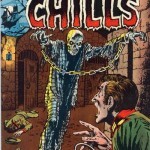 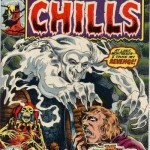 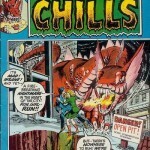 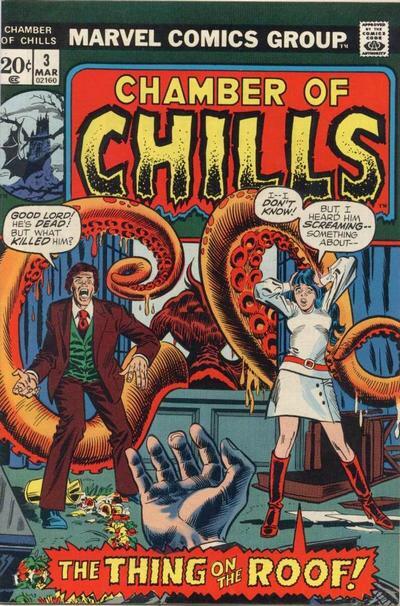 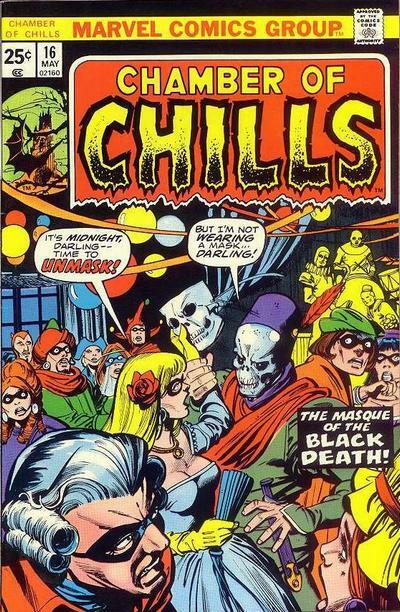 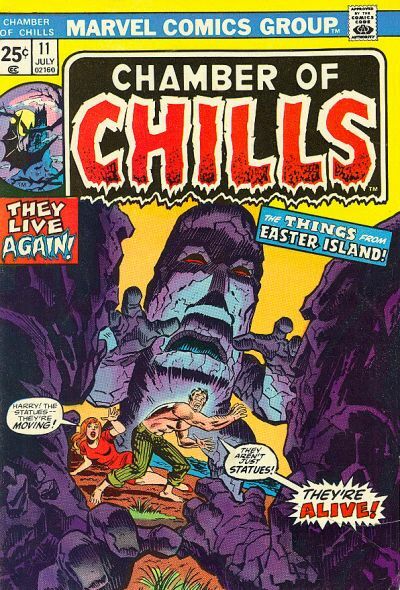 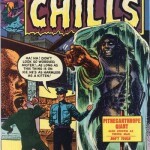 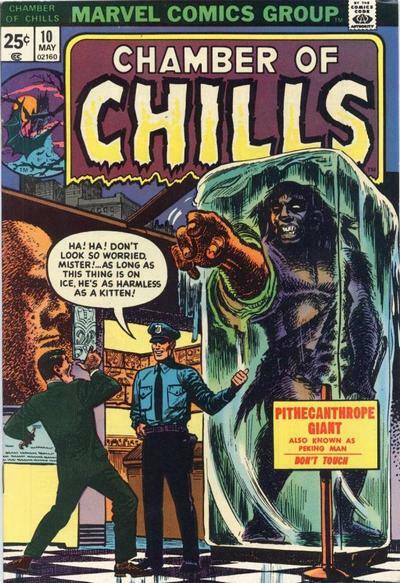 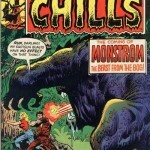 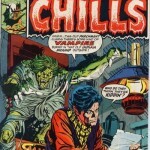 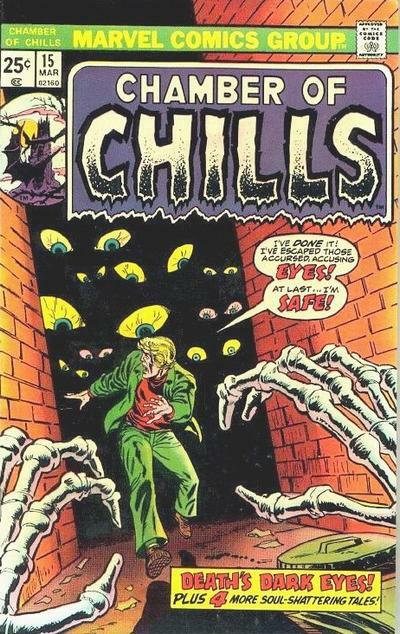 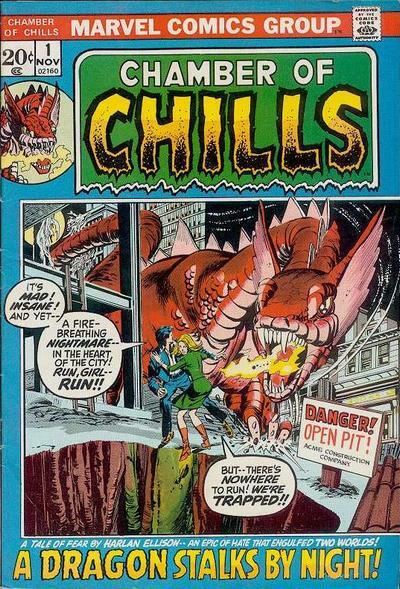 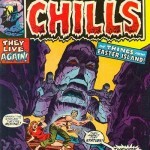 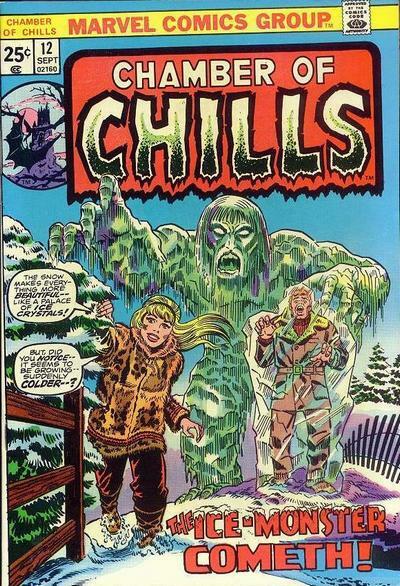 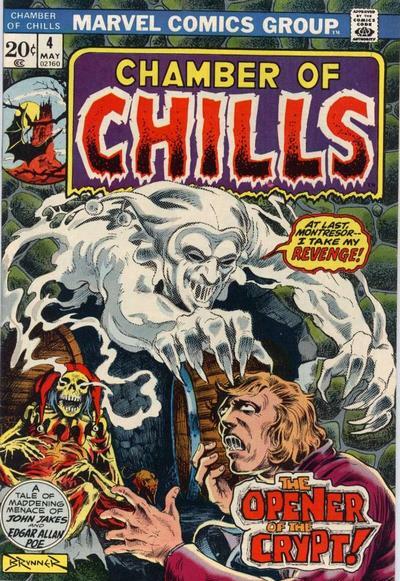 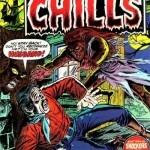 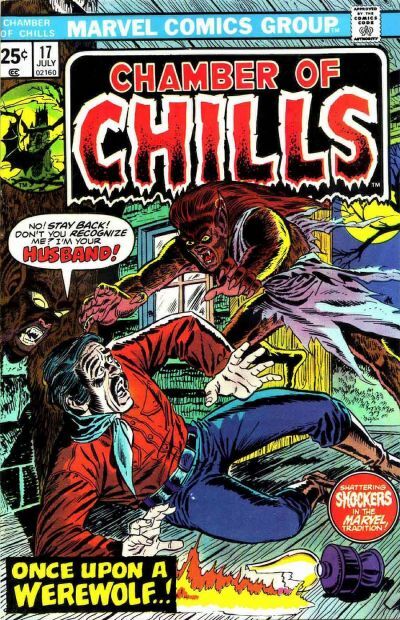 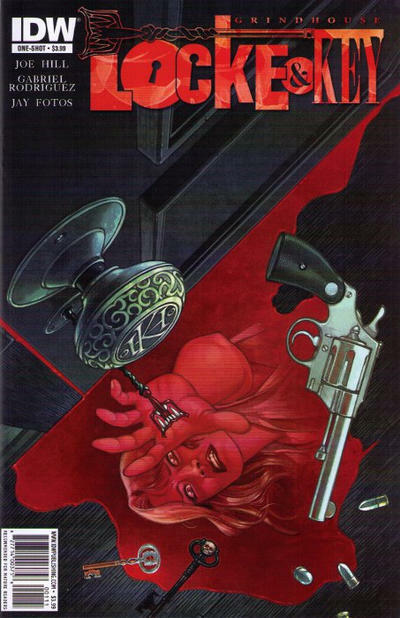 An unrelated comic-book series titled Chamber of Chills was published by Marvel Comics in the 1970s. 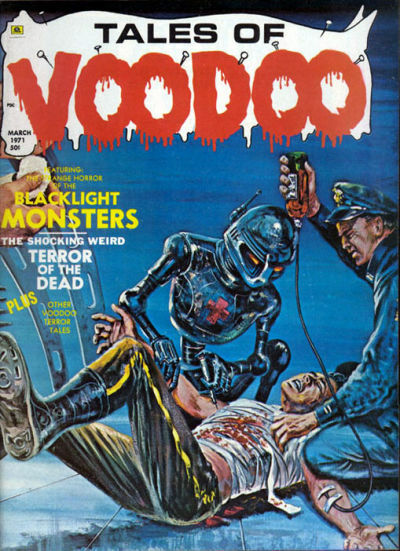 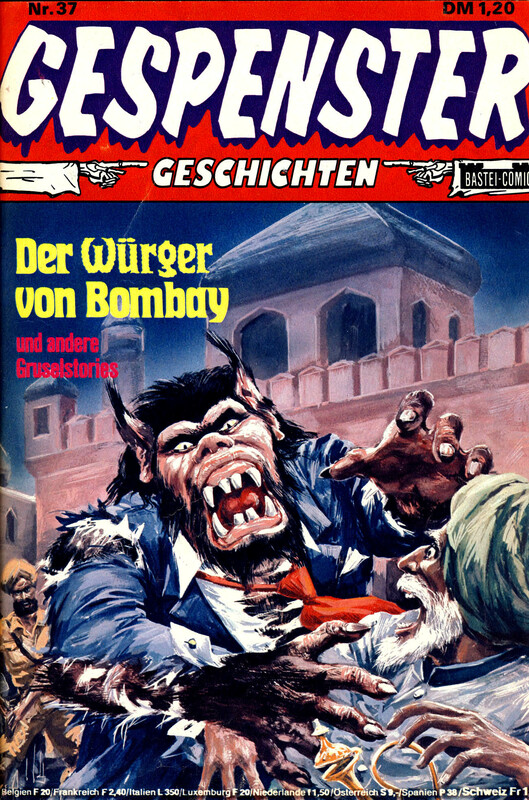 Ir ran 25 issues Nov. 1972 – Nov. 1976). 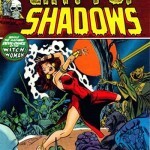 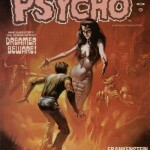 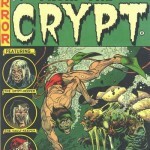 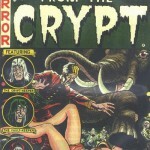 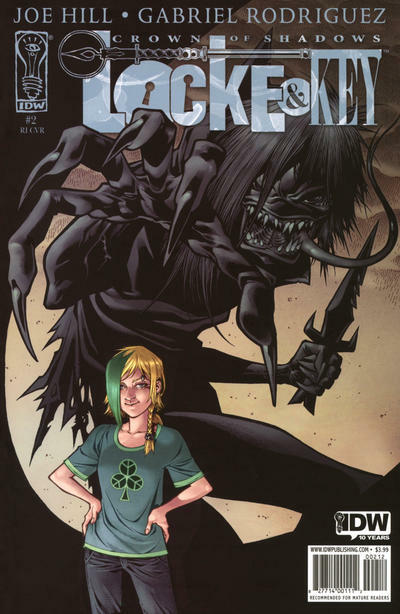 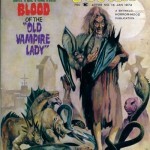 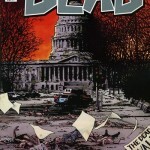 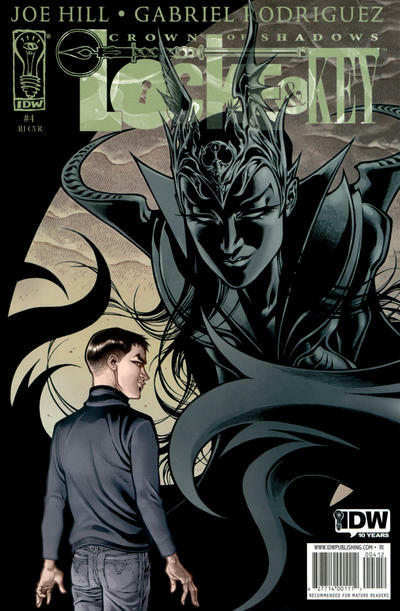 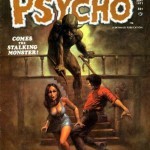 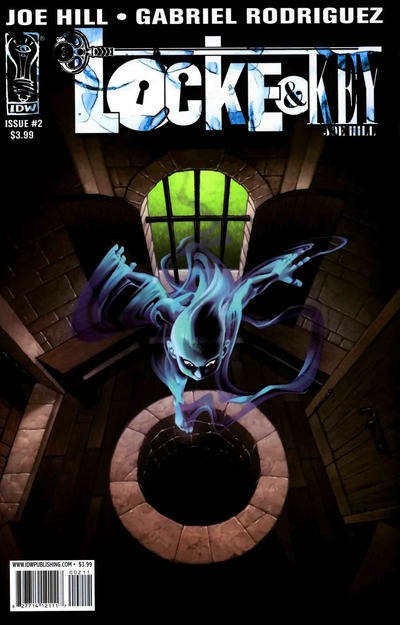 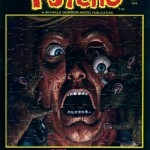 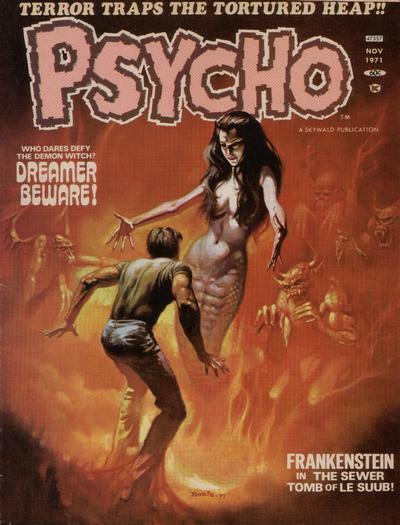 The title was one of four launched by Marvel Comics editor-in-chief Roy Thomas to form a line of science fiction and horror anthologies with more thematic cohesiveness than the company’s earlier attempts that decade, which had included such series as Chamber of Darkness and Tower of Shadows. 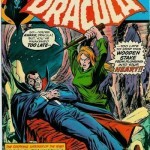 Whereas those titles generally presented original stories, these new books would instead adapt genre classics and other works. 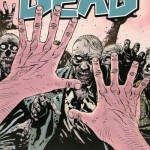 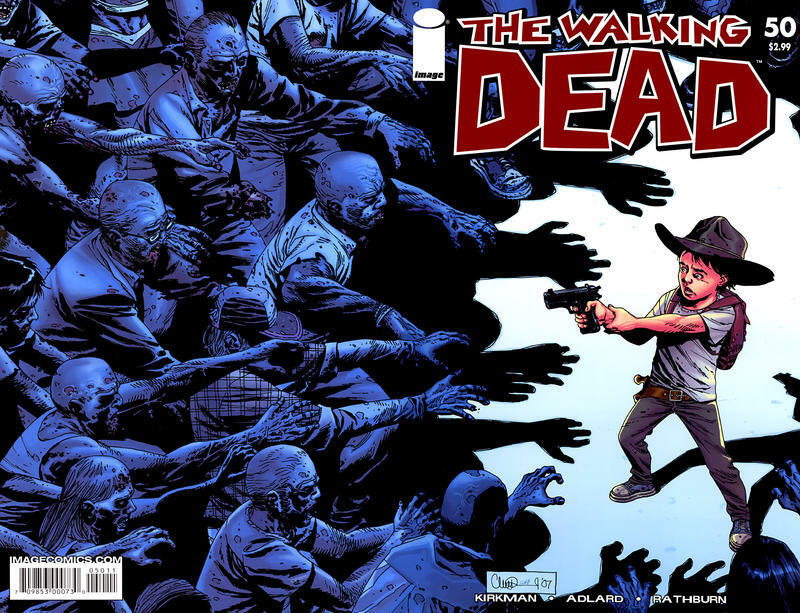 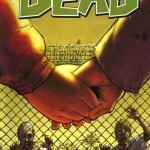 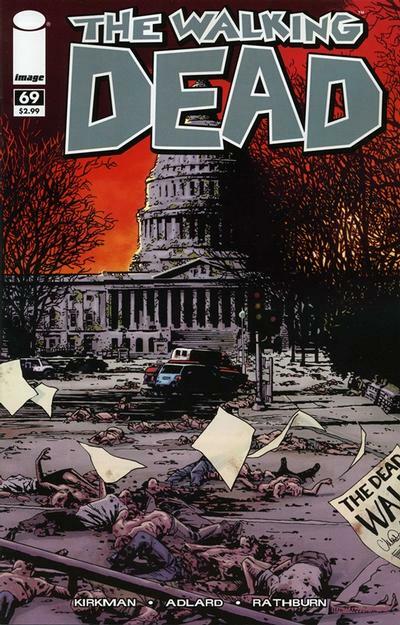 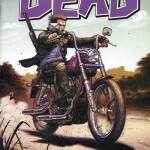 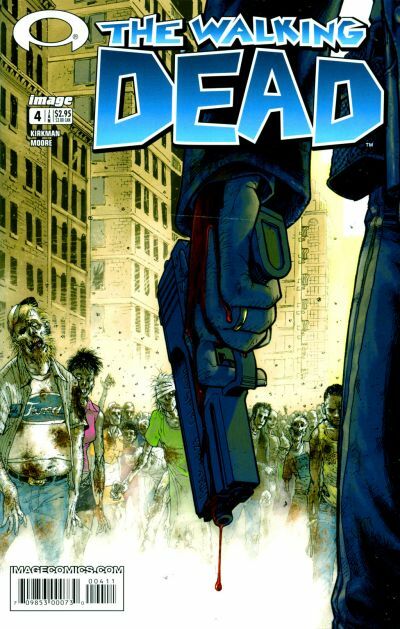 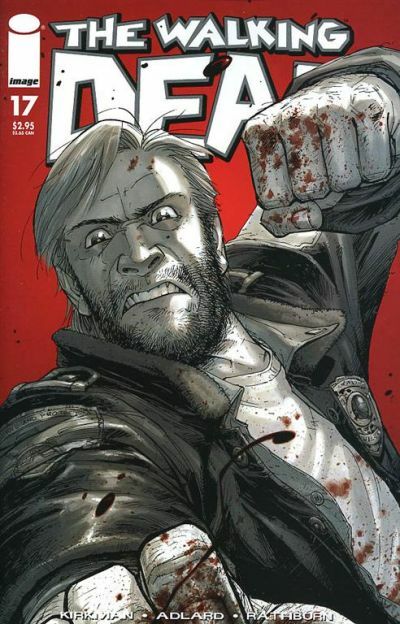 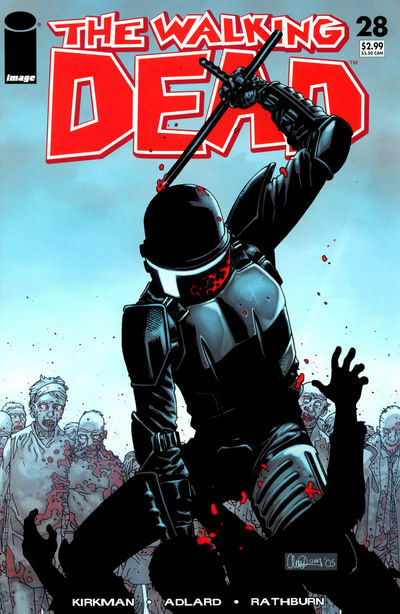 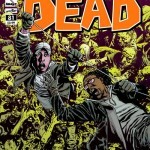 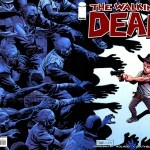 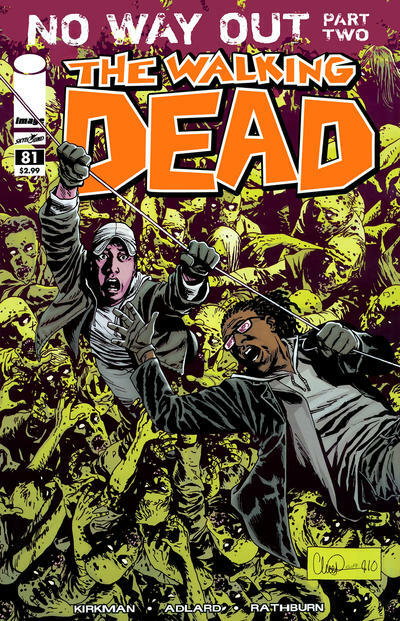 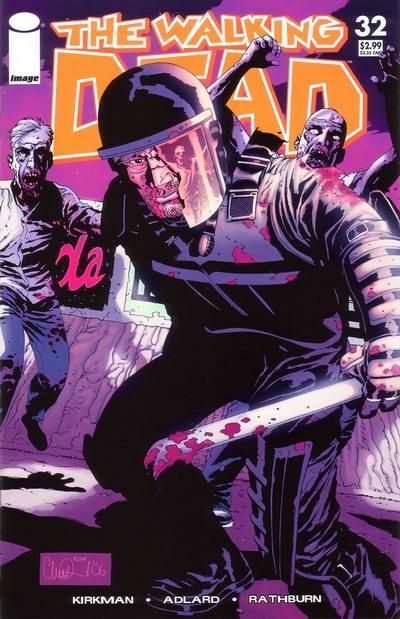 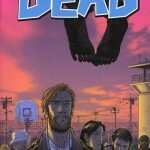 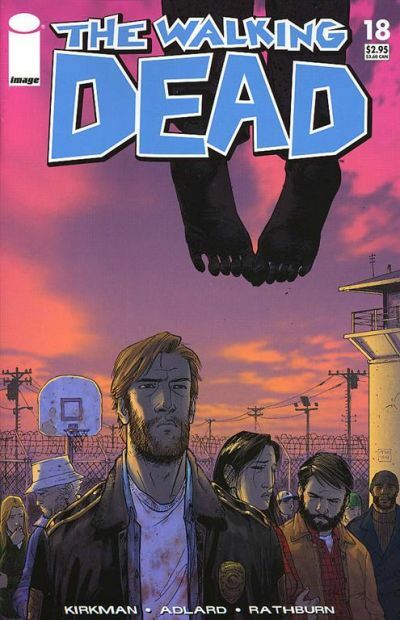 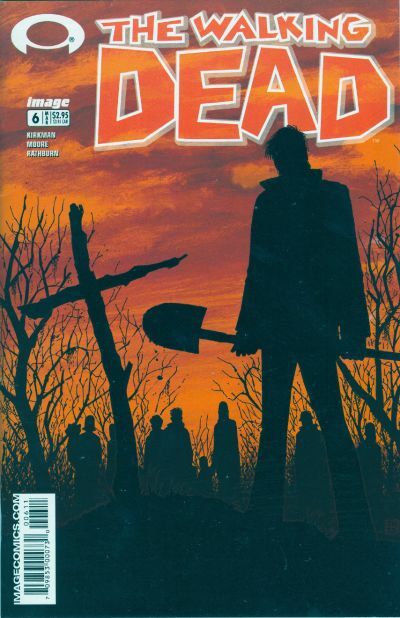 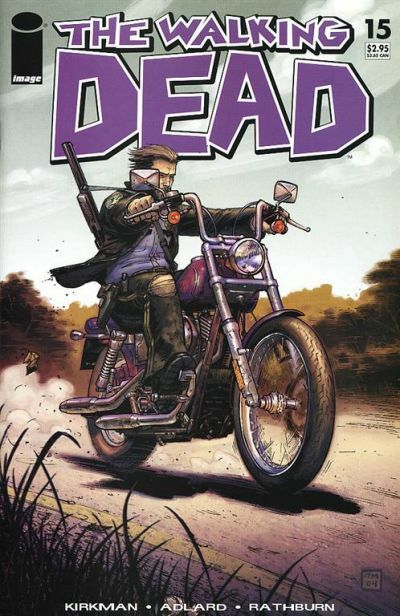 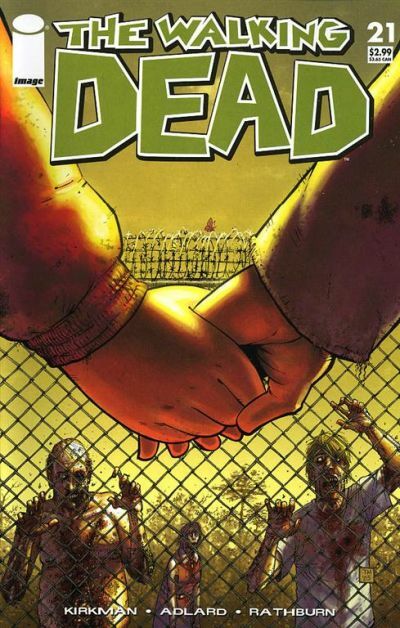 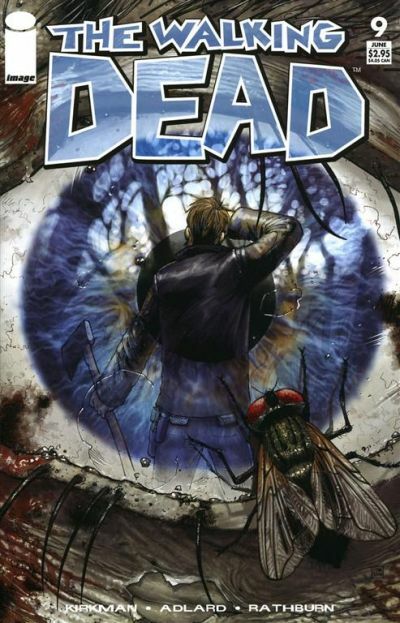 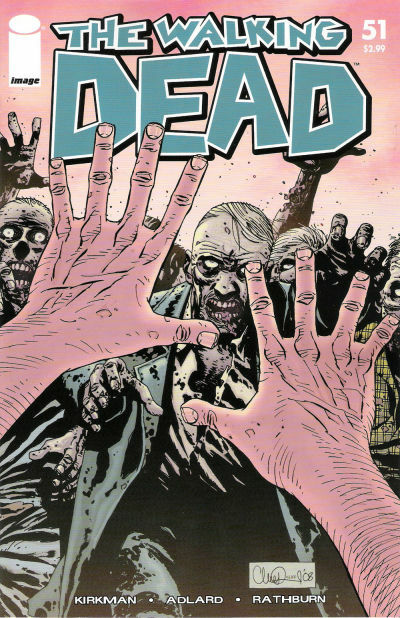 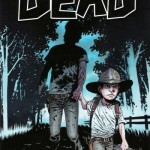 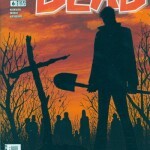 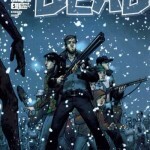 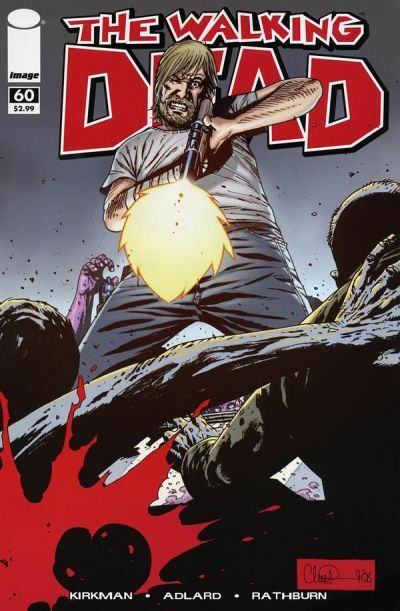 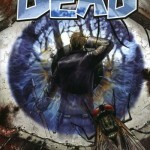 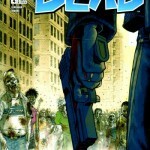 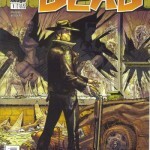 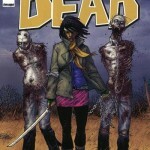 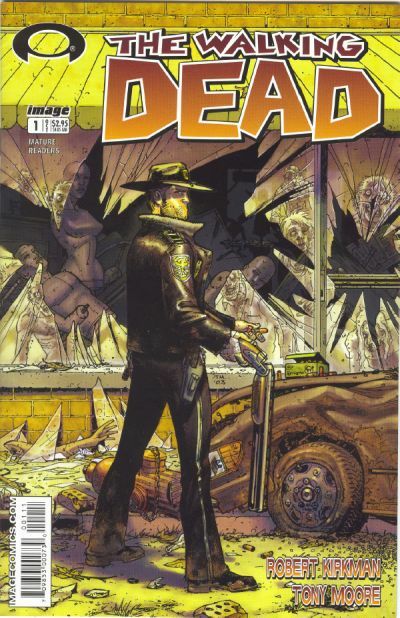 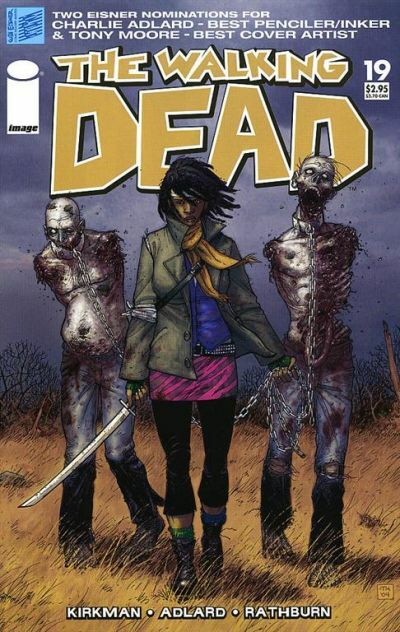 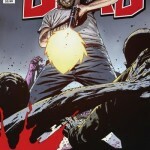 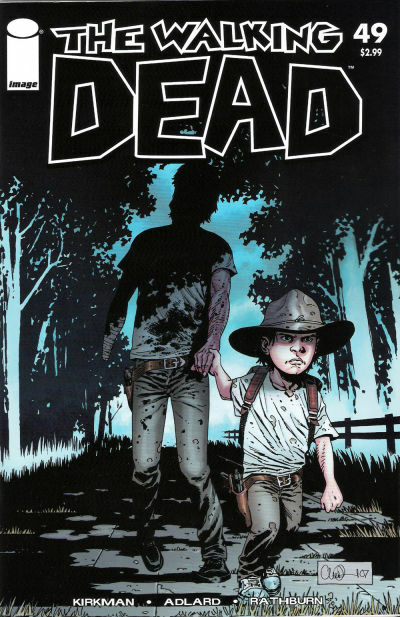 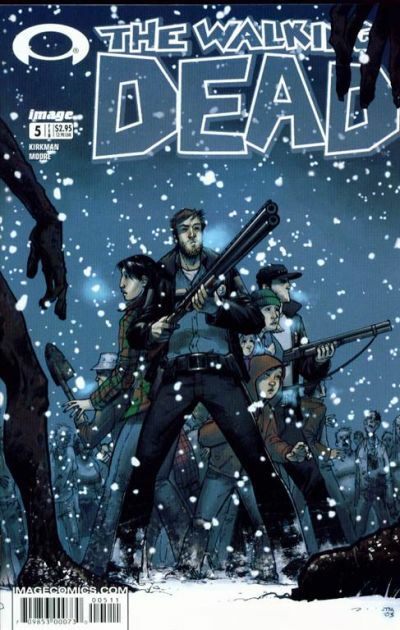 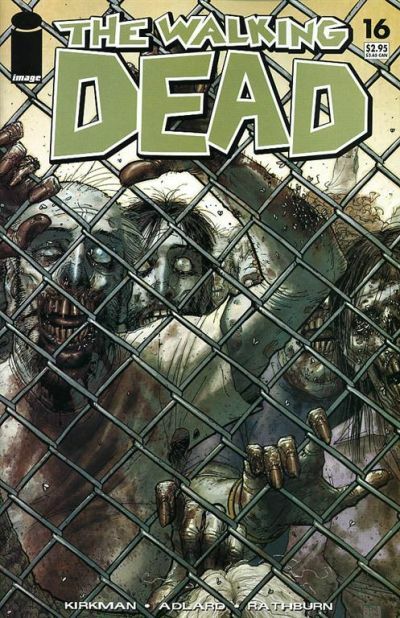 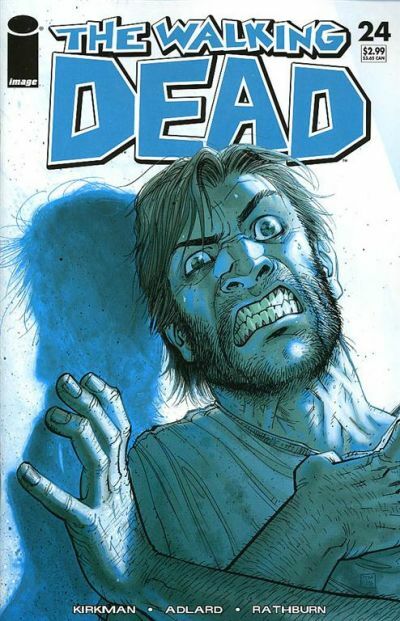 Robert Kirkman’s The Walking Dead takes the reader on a journey into the unknown world to show us how life would be in the aftermath of the Zombie Apocalypse. 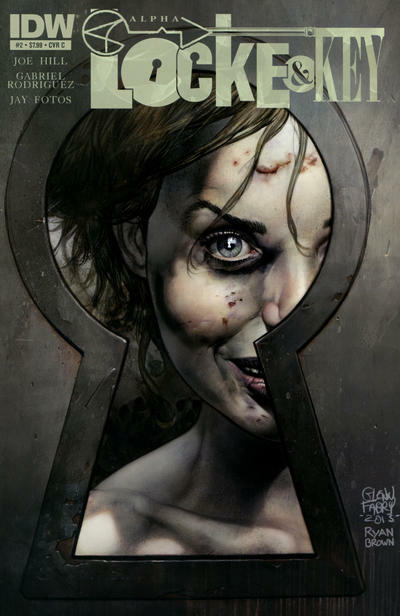 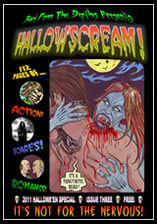 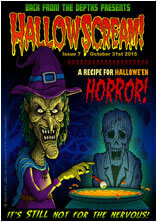 This ongoing multi award winning series put horror comics firmly back on the map. 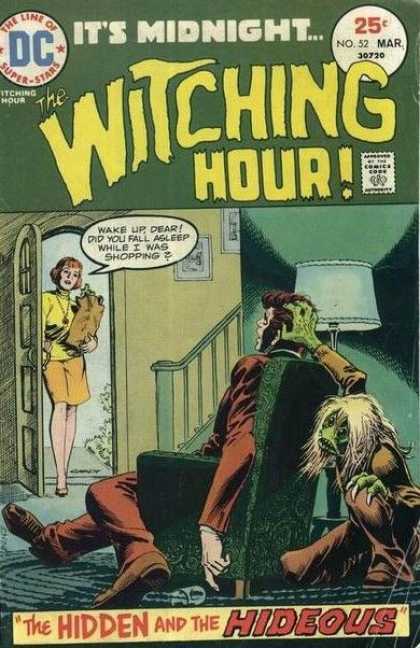 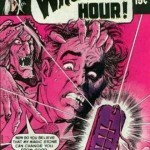 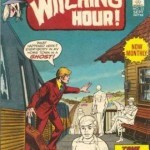 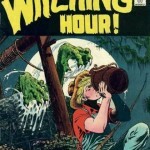 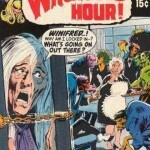 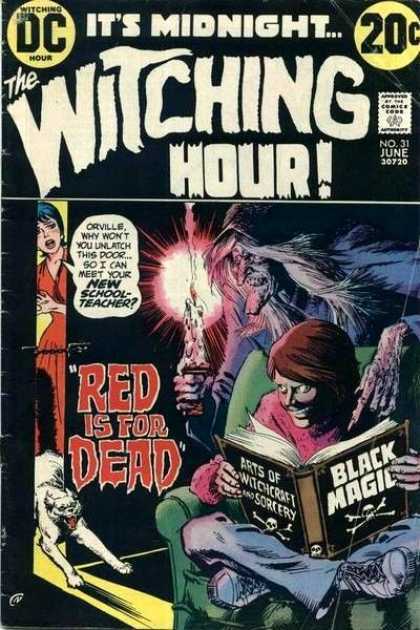 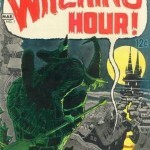 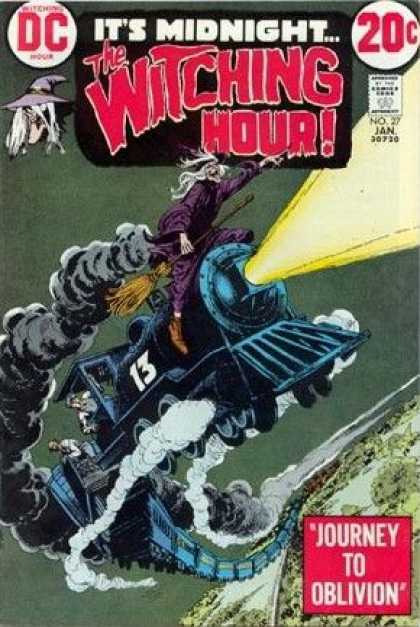 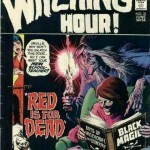 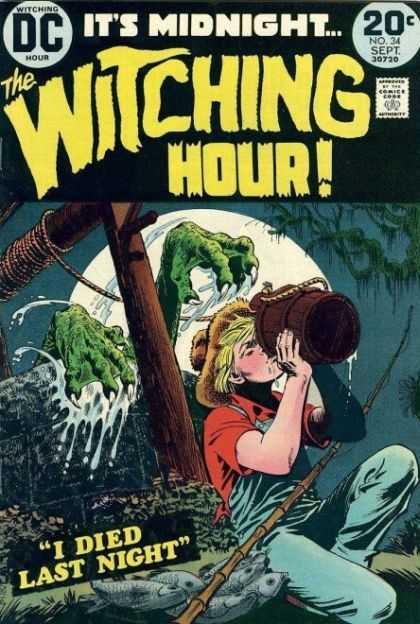 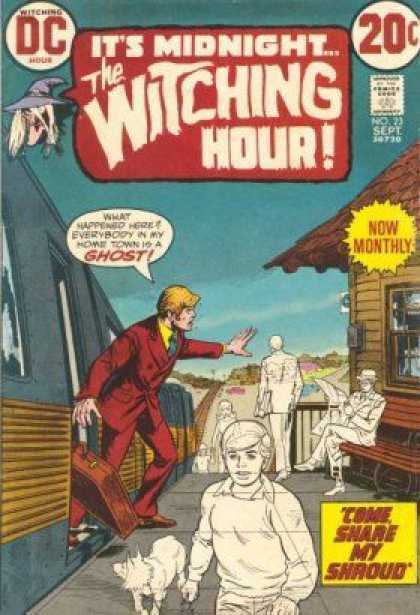 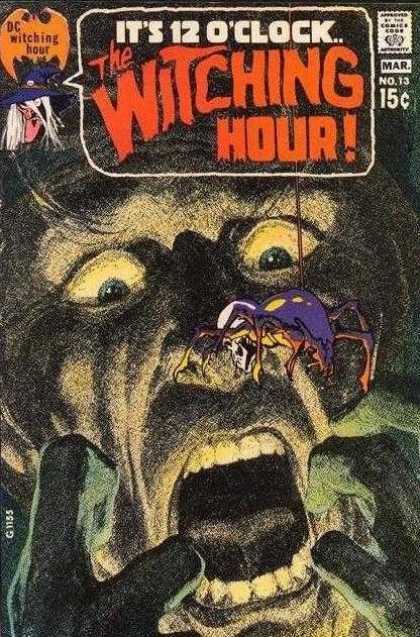 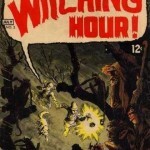 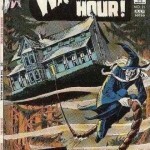 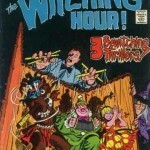 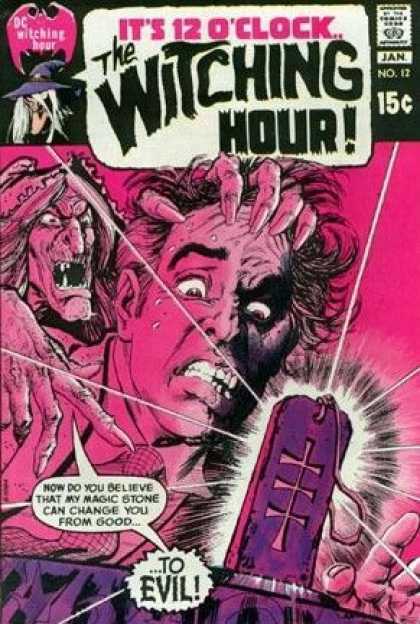 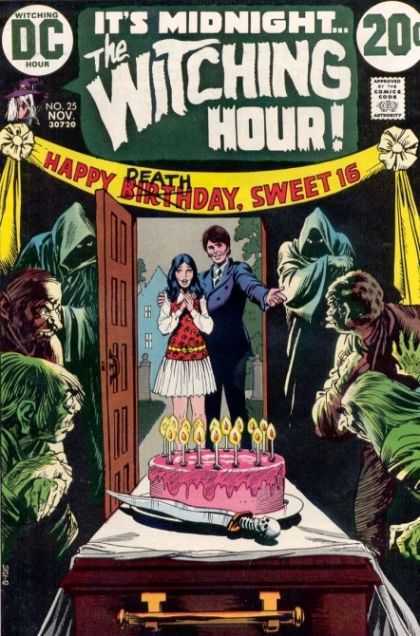 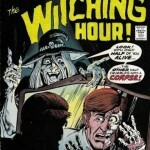 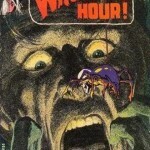 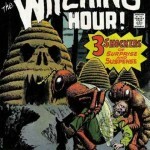 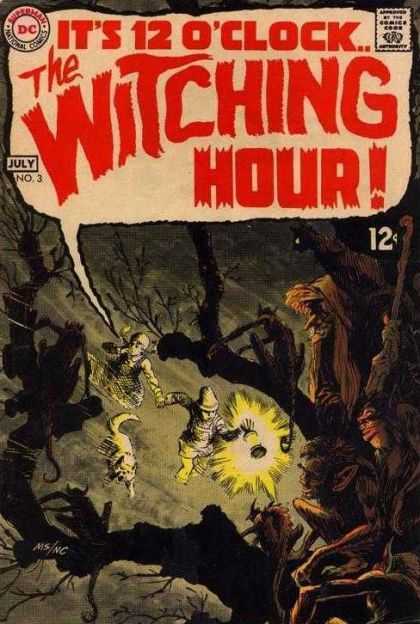 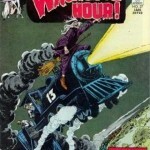 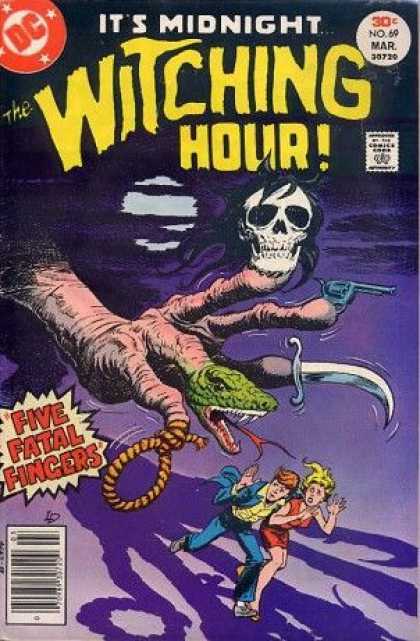 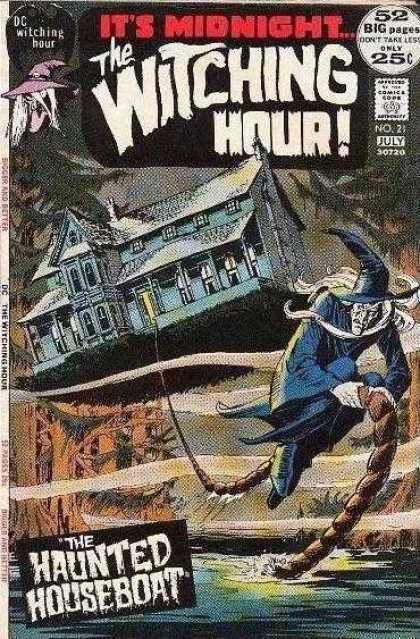 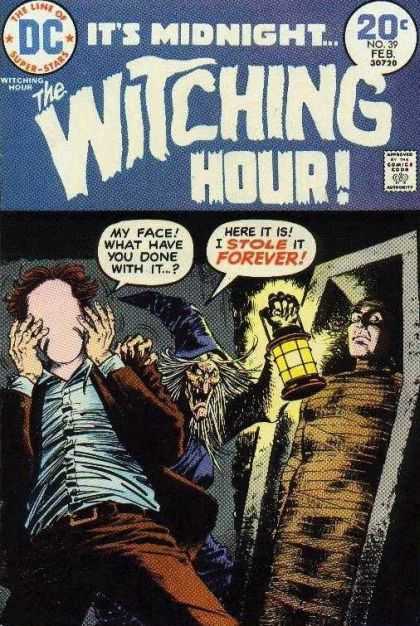 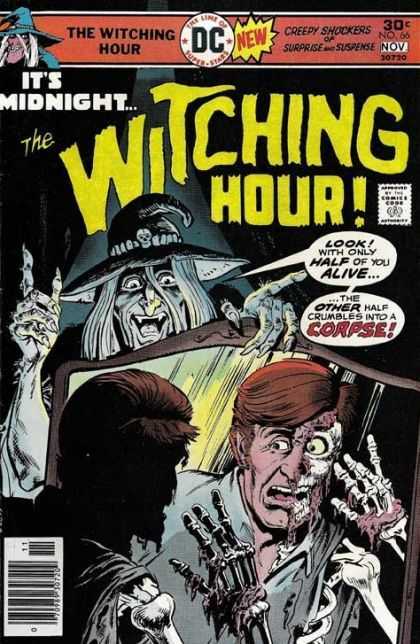 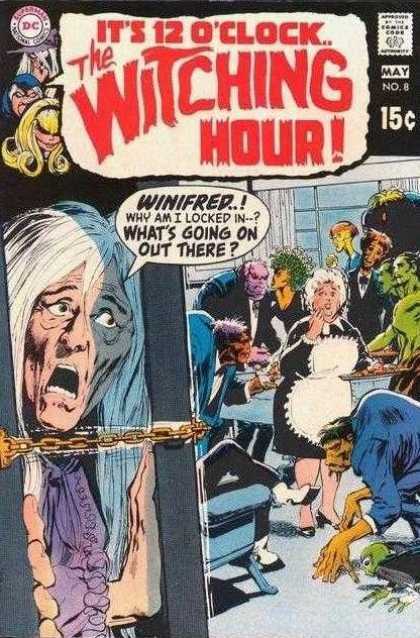 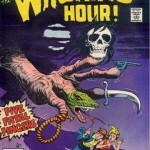 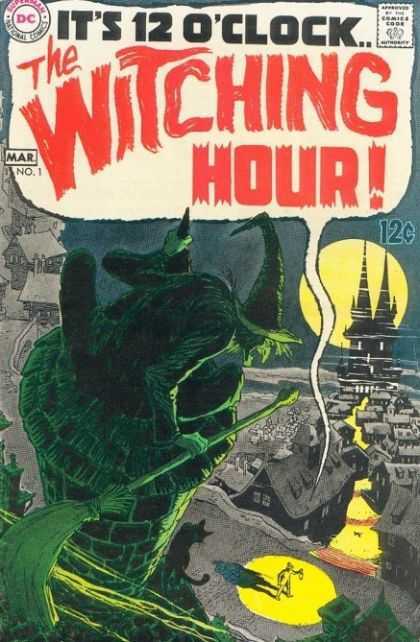 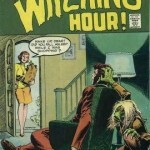 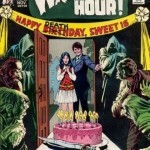 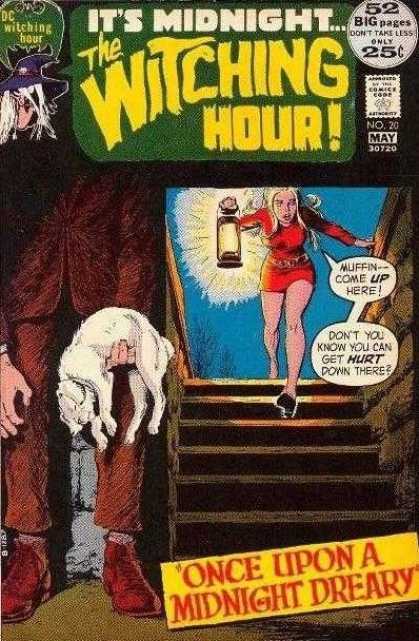 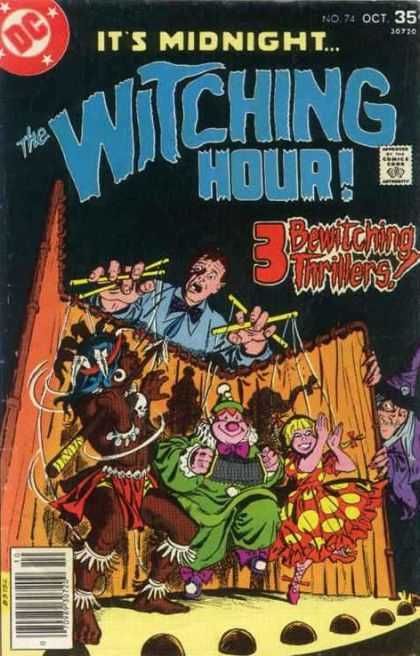 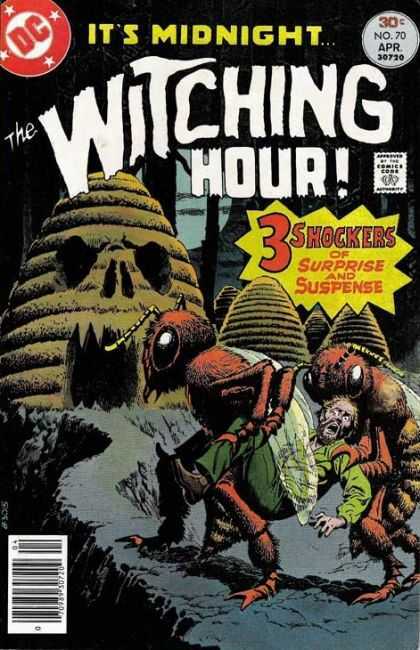 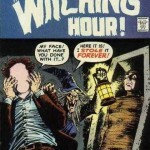 D.C Comic’s The Witching Hour ran from 1969 to 1978 and was hosted by 3 beautiful witches Morded, Mildred, and Cynthia. 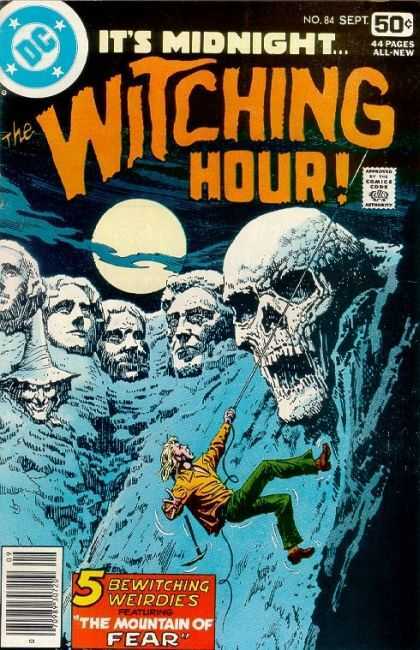 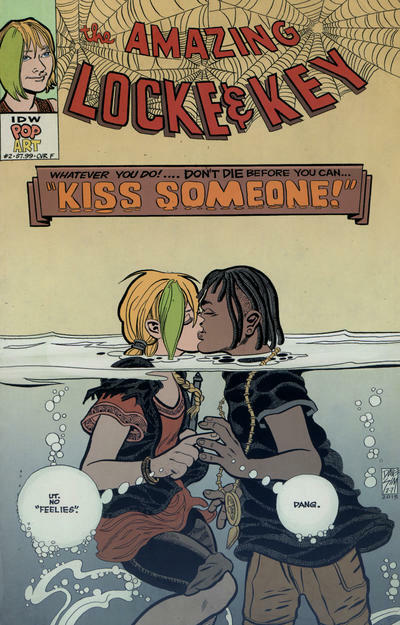 #we’ve selected the top 20 comic covers for your viewing pleasure. 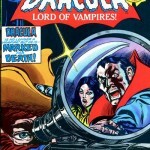 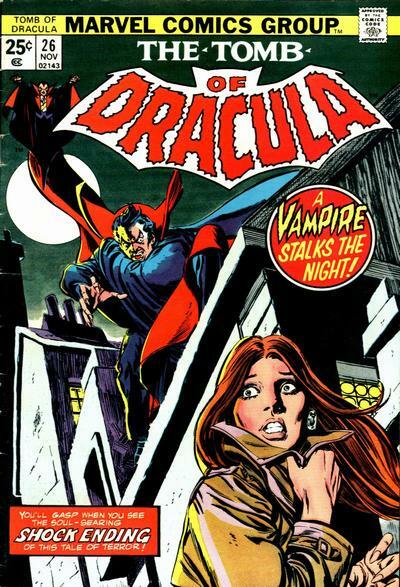 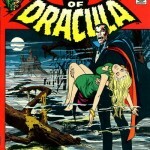 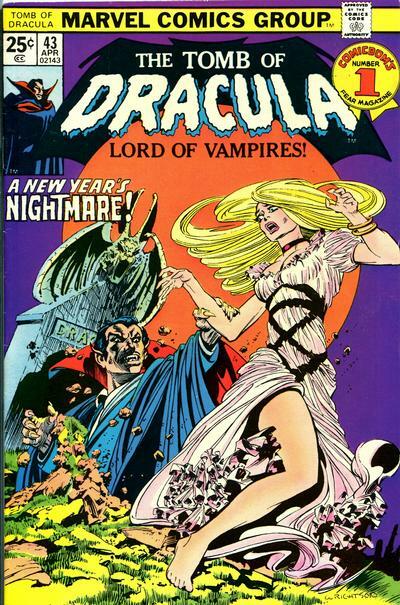 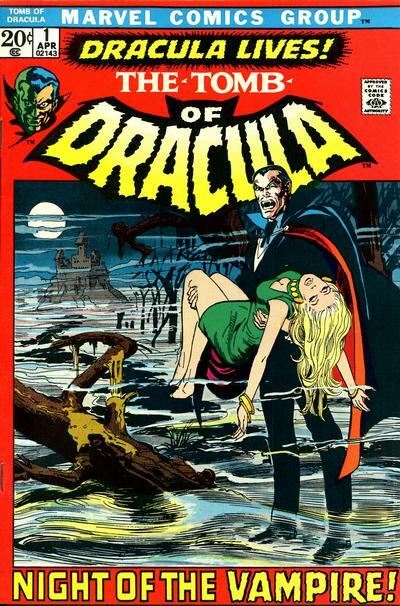 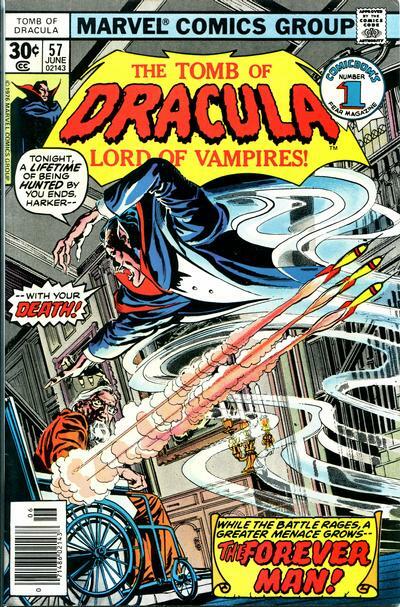 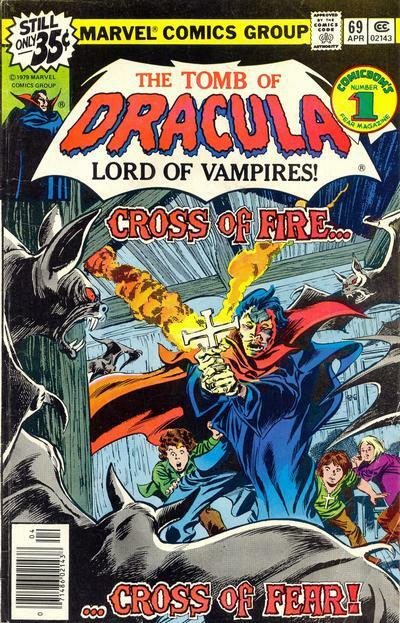 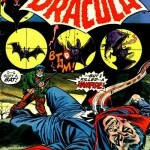 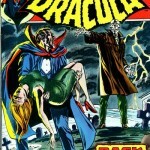 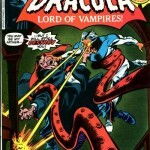 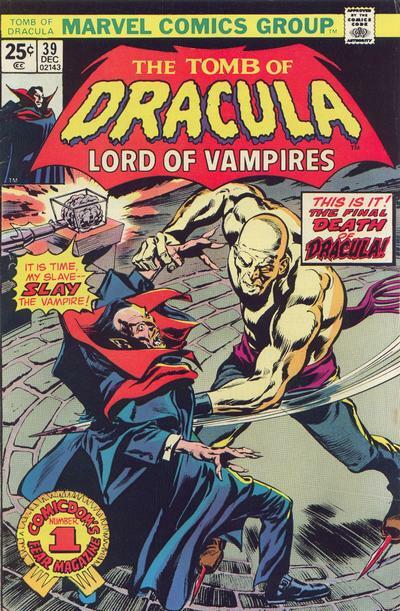 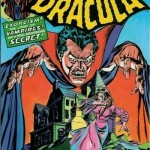 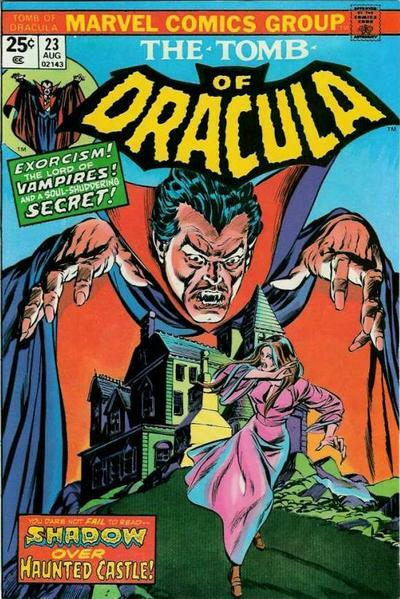 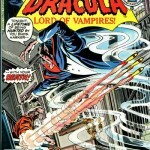 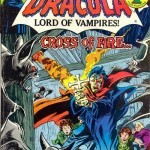 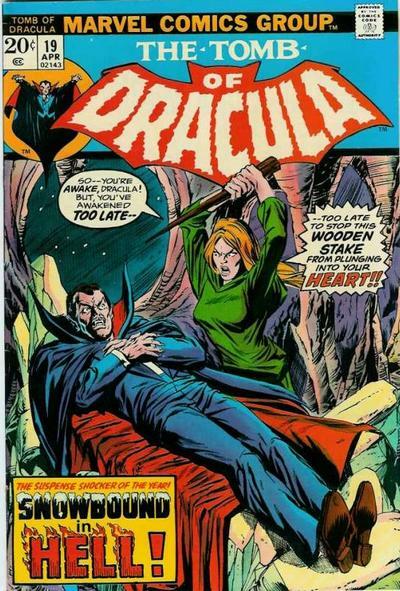 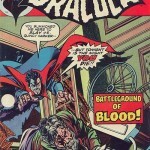 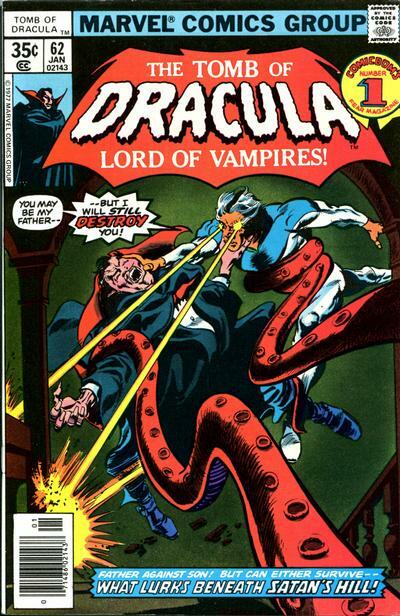 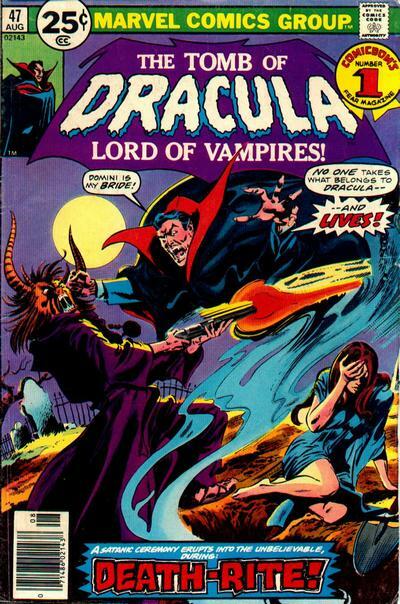 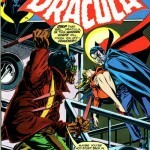 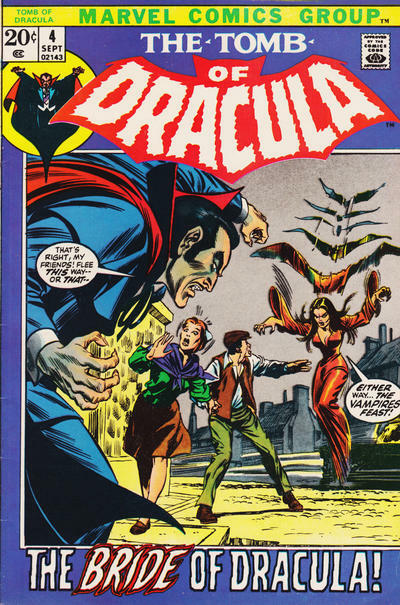 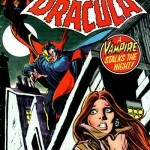 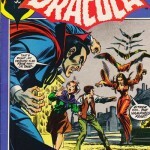 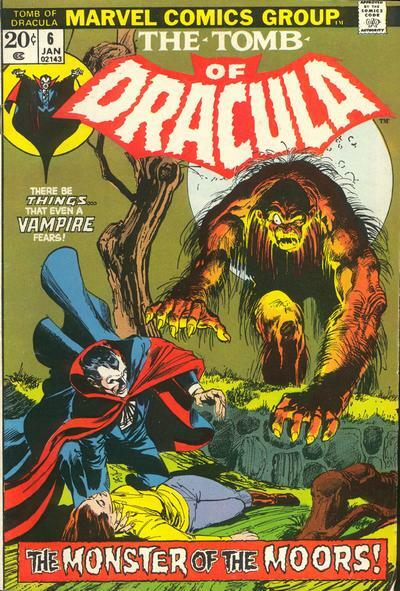 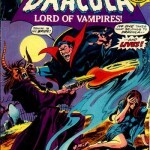 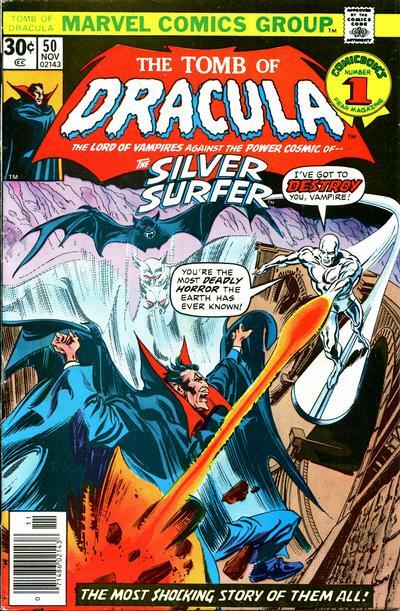 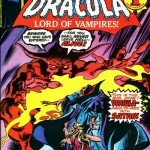 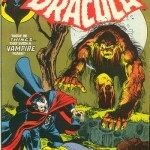 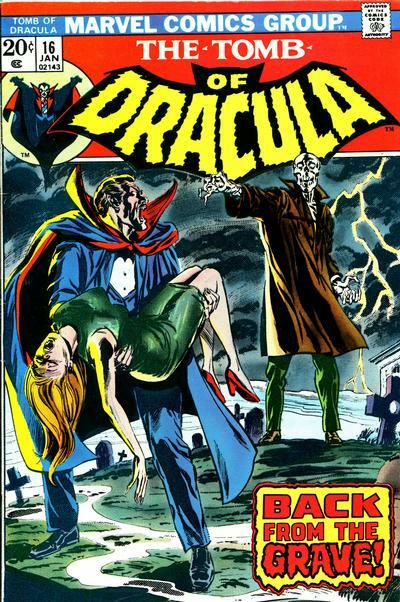 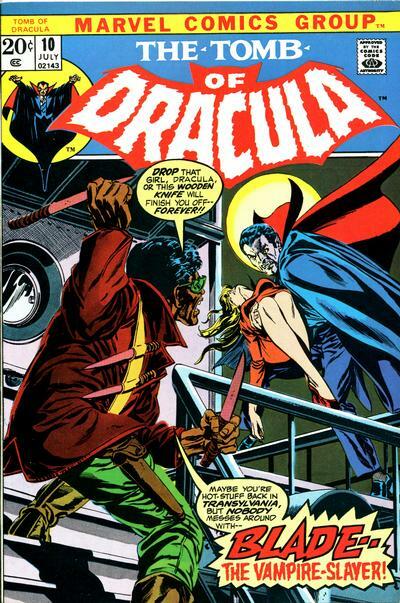 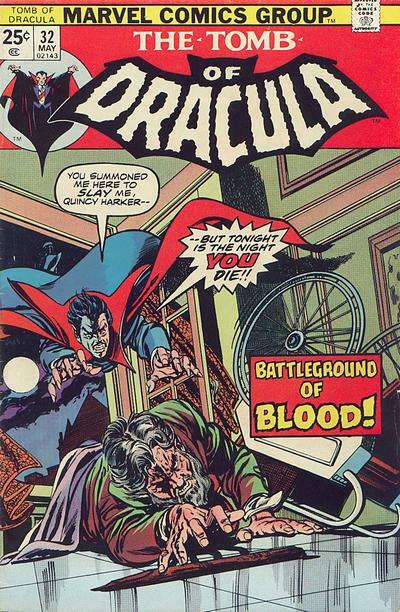 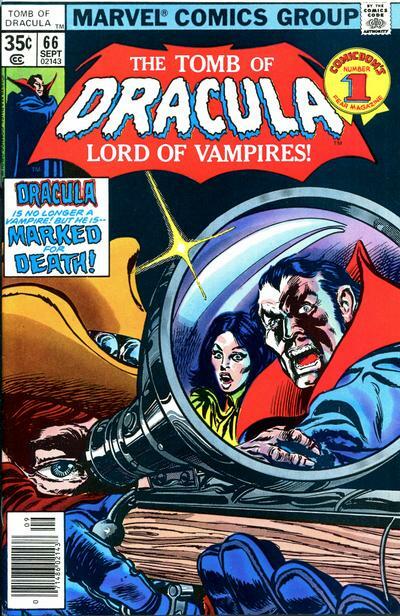 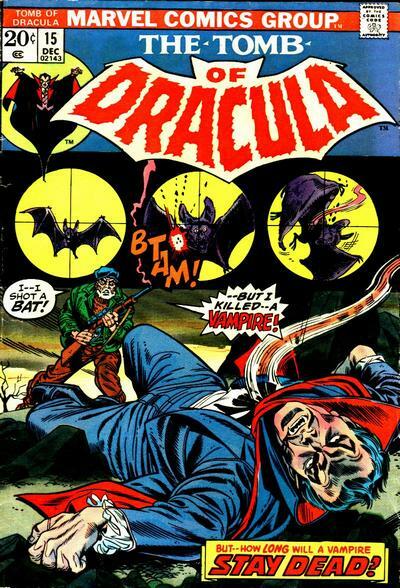 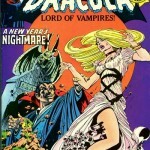 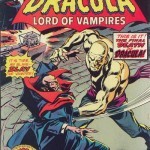 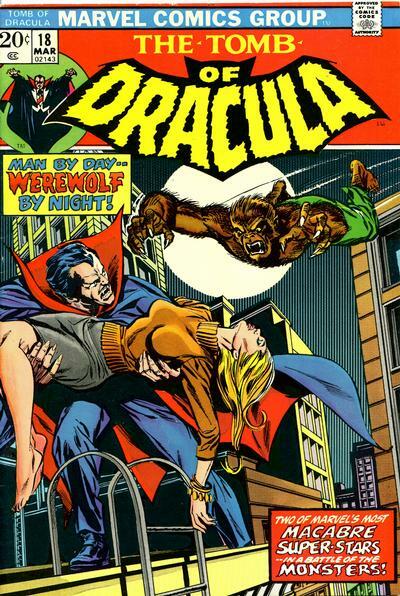 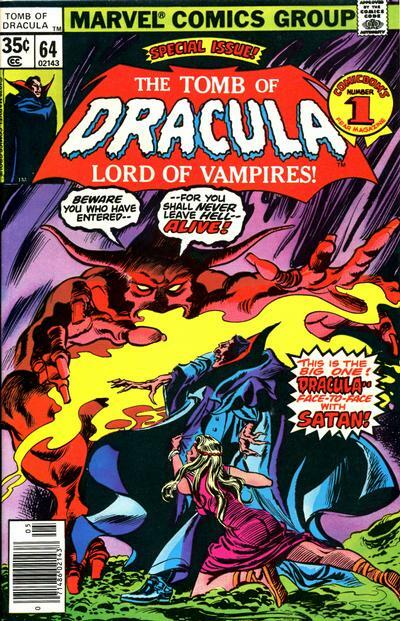 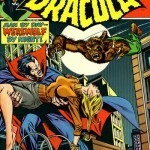 Our Top 20 Covers series continues with Marvel’s the Tomb of Dracula. 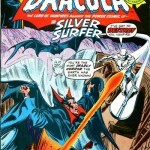 Watch out for the inclusion of a couple of top Marvel characters along the way.